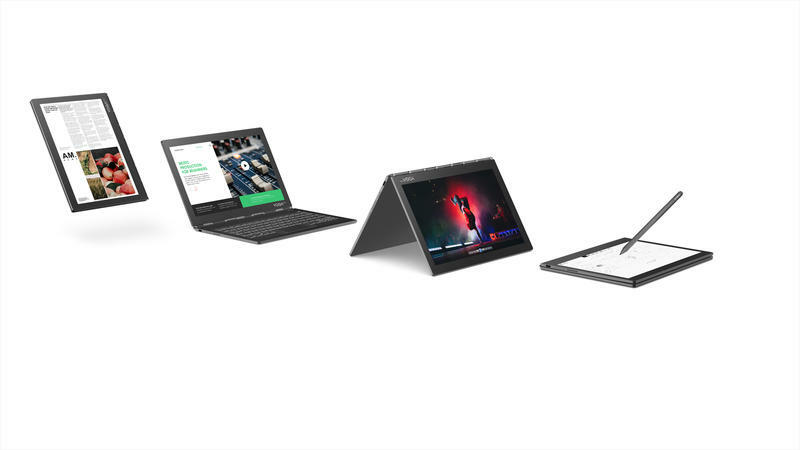 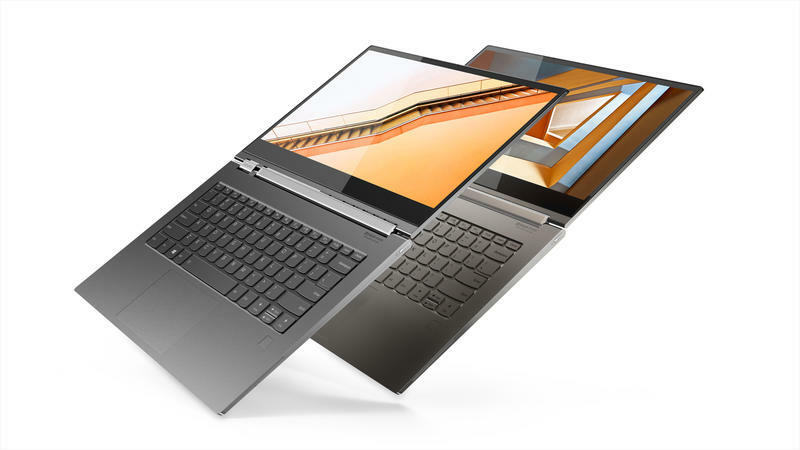 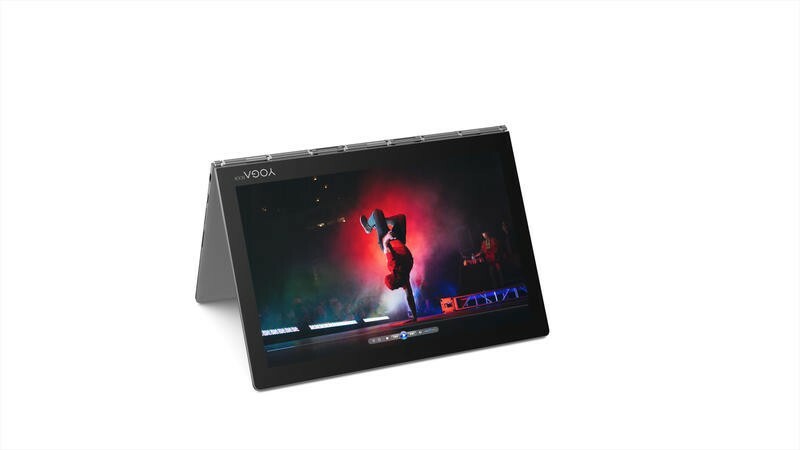 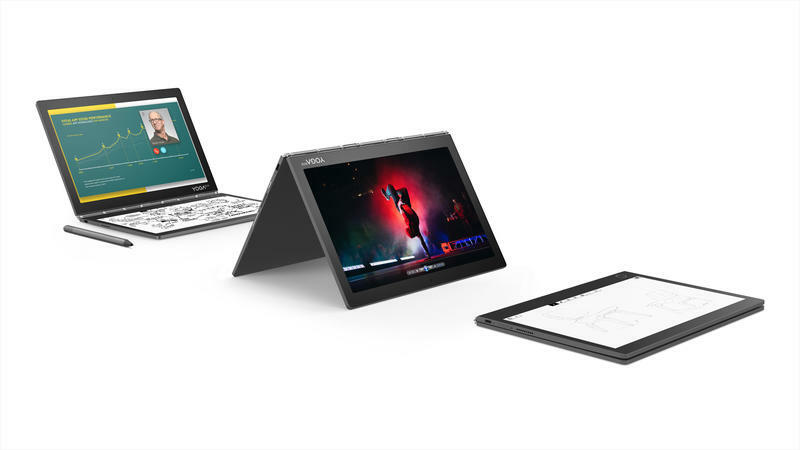 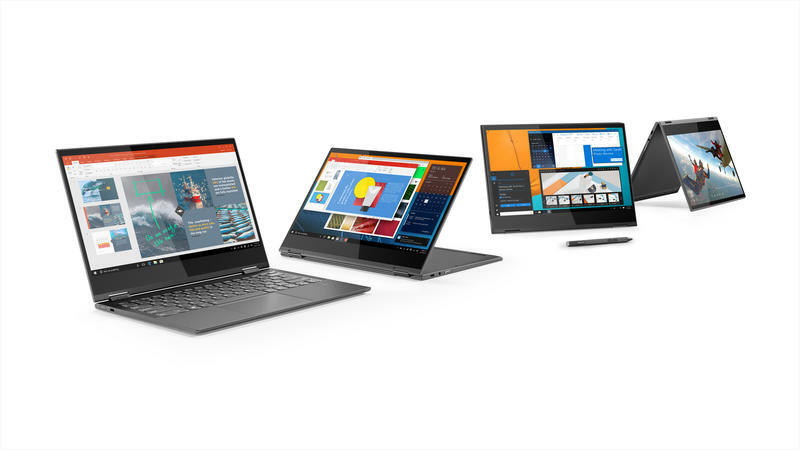 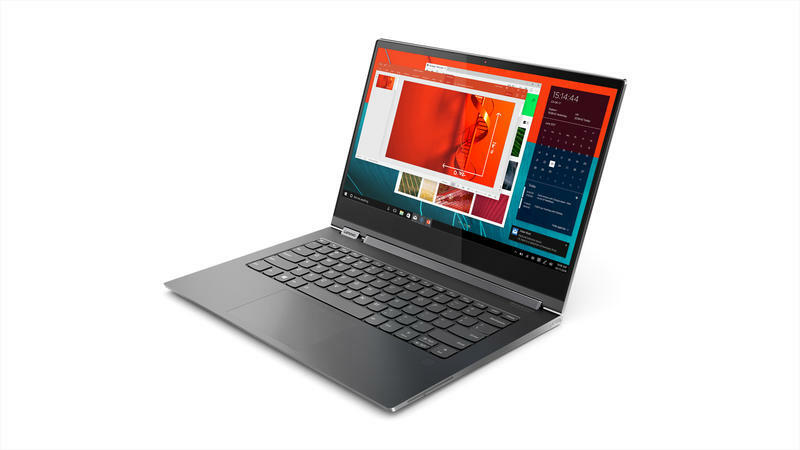 Lenovo on Wednesday announced a handful of new laptops at IFA in Berlin, highlighted by the Yoga C930, which features a plethora of exciting features, including a sound bar hinge and near-bezel-less display. 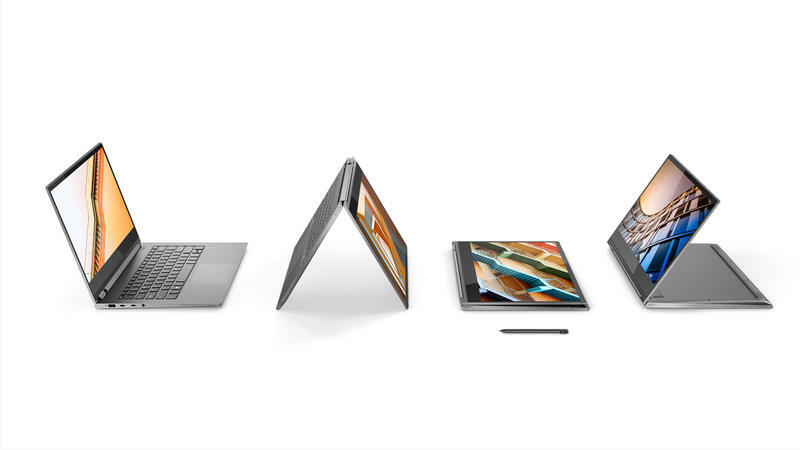 Below are all the different laptops, including some of their best features. 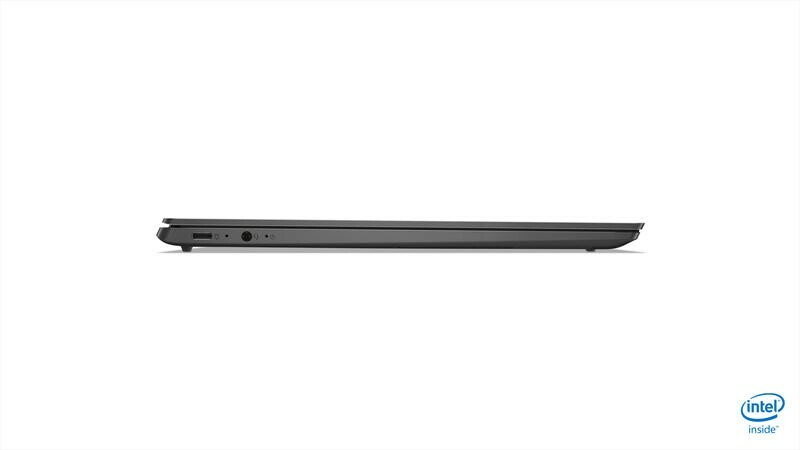 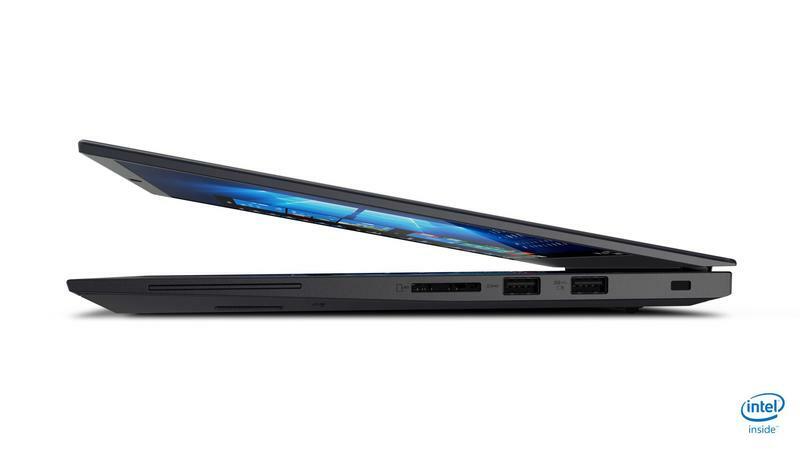 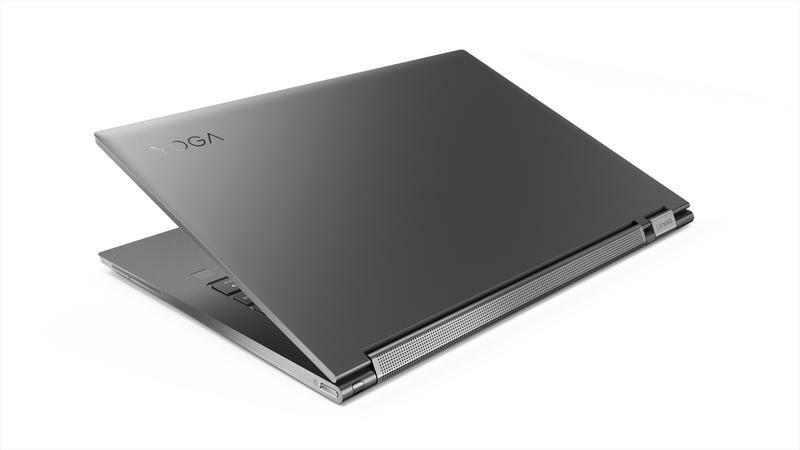 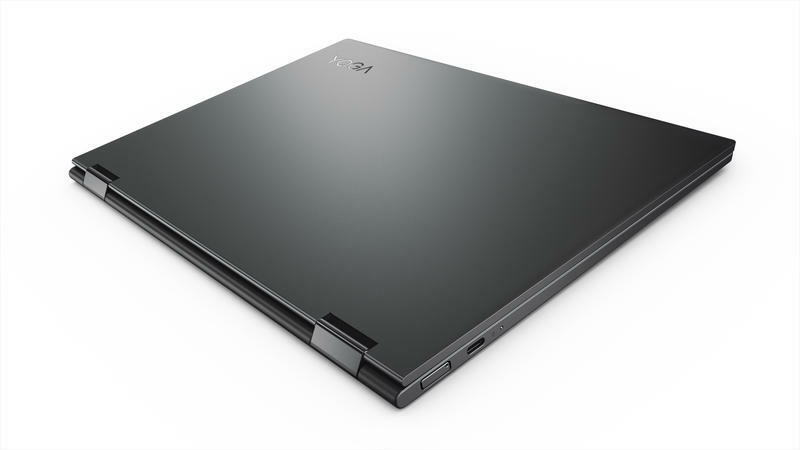 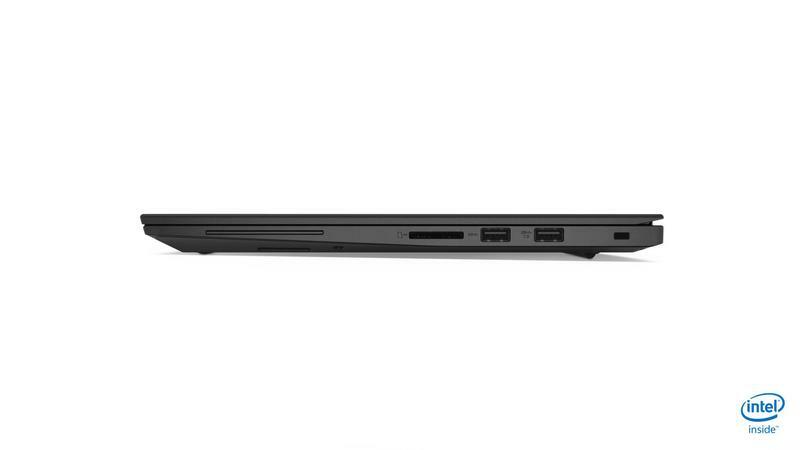 The Yoga C930 is the flagship of Lenovo’s latest lineup of laptops. 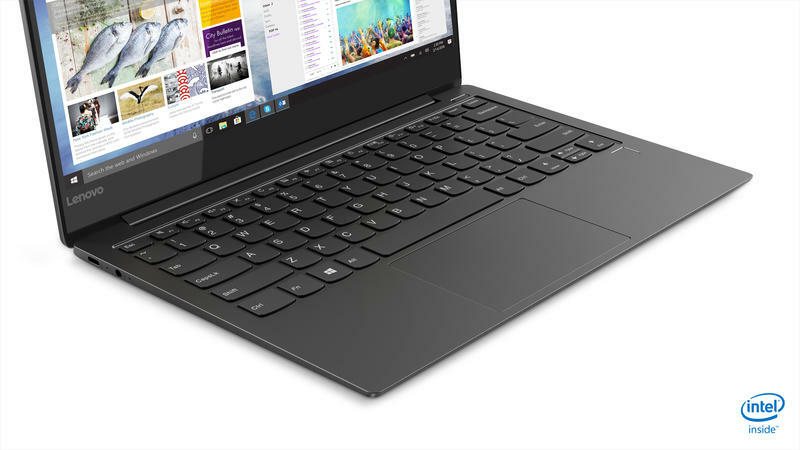 It features an Intel 8th Generation Core i7 processor, up to 16GB of RAM, Intel HD 620 graphics, up to 2TB SSD, and a backlit keyboard. 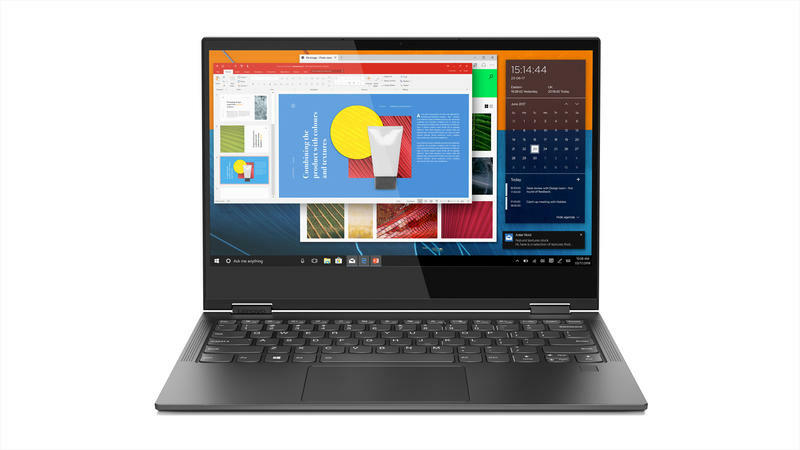 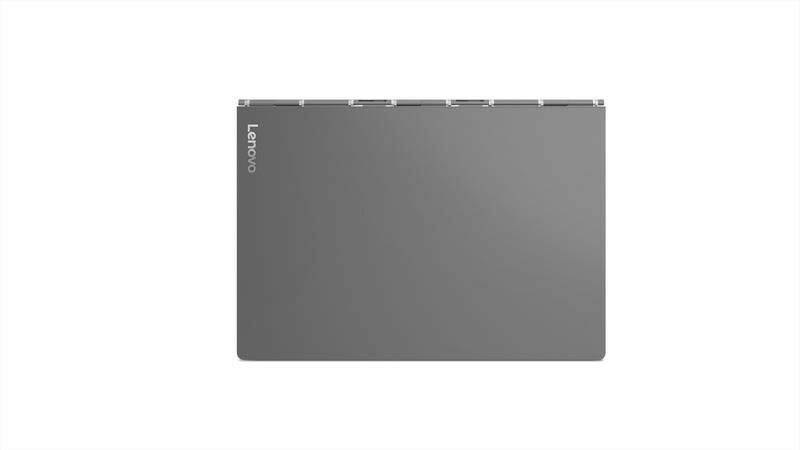 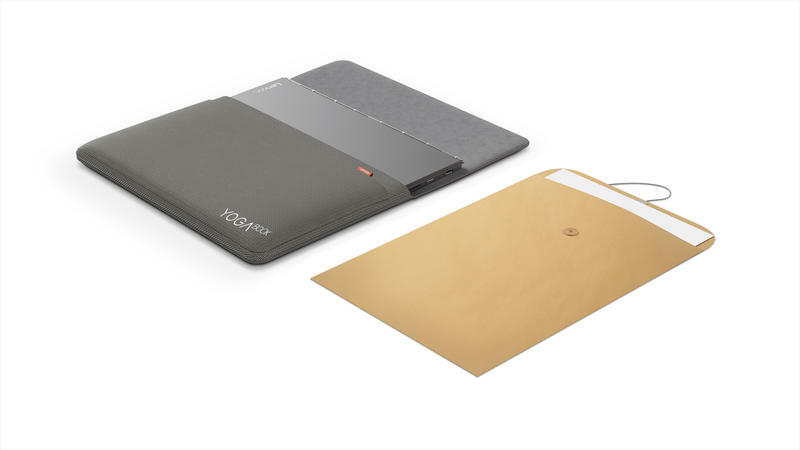 Lenovo also claims the Yoga C930 is capable of more than 14 hours of battery life. 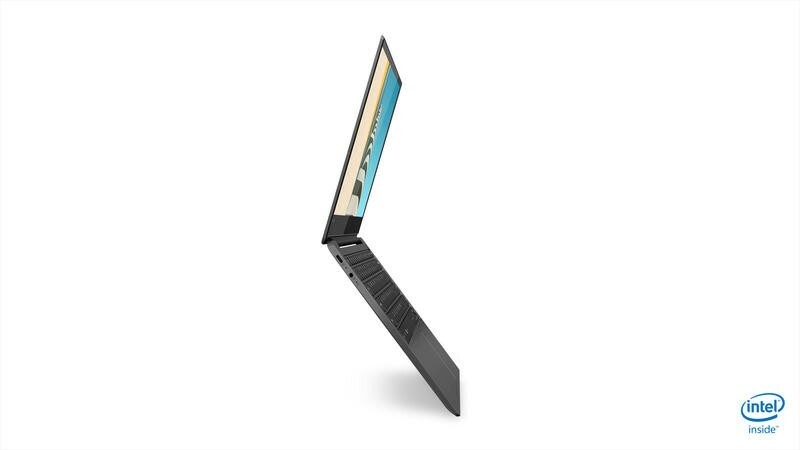 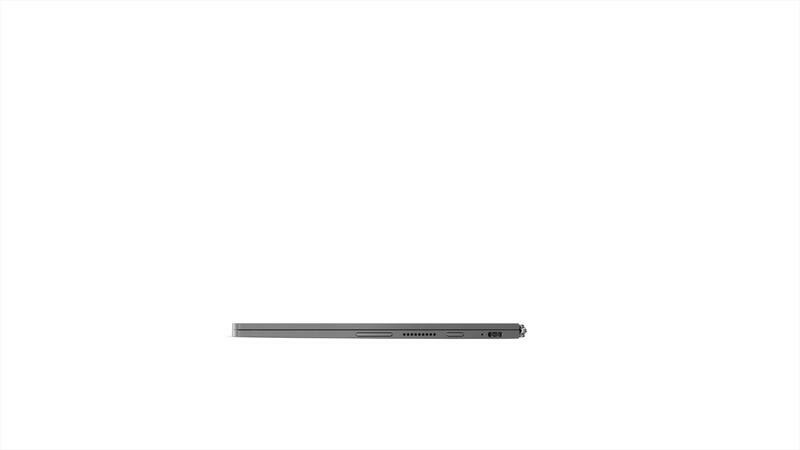 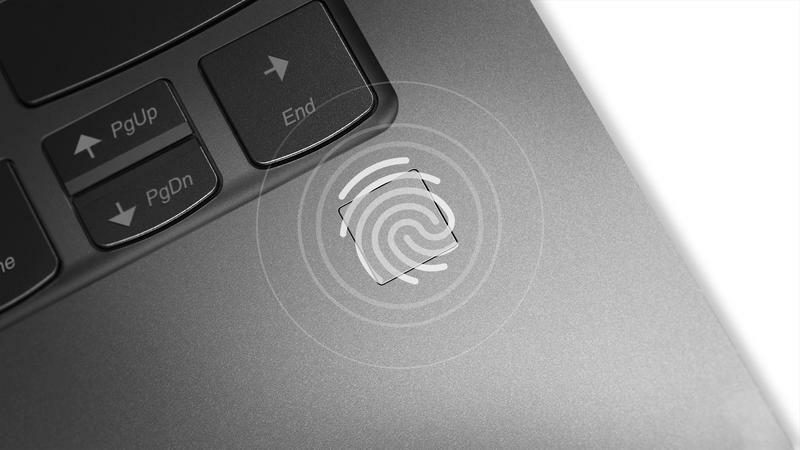 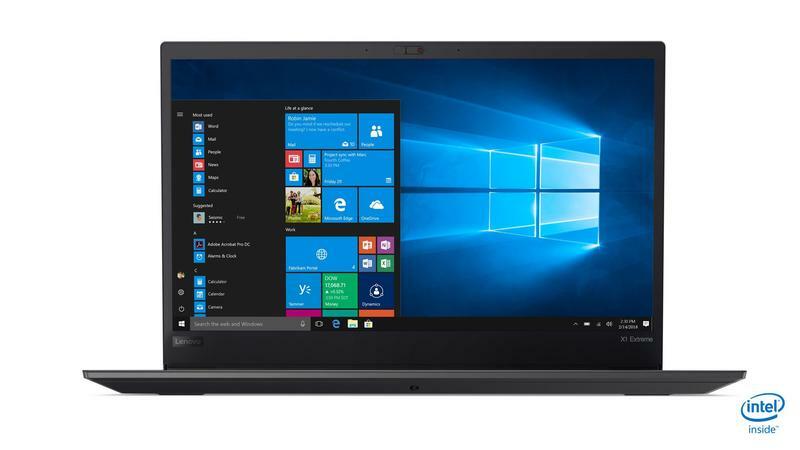 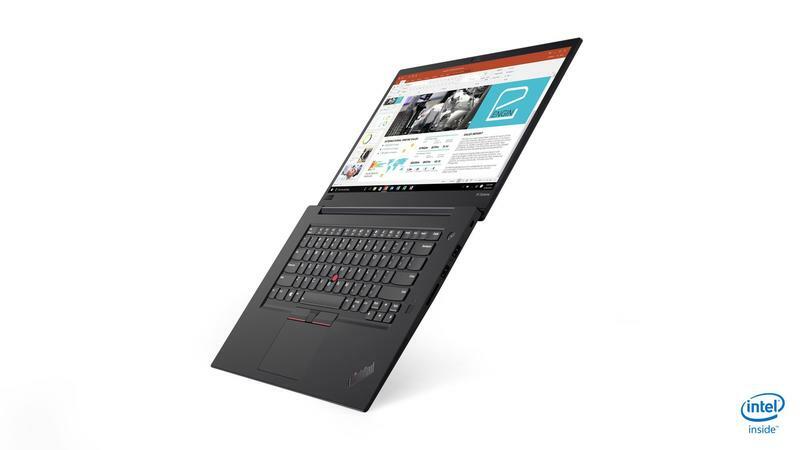 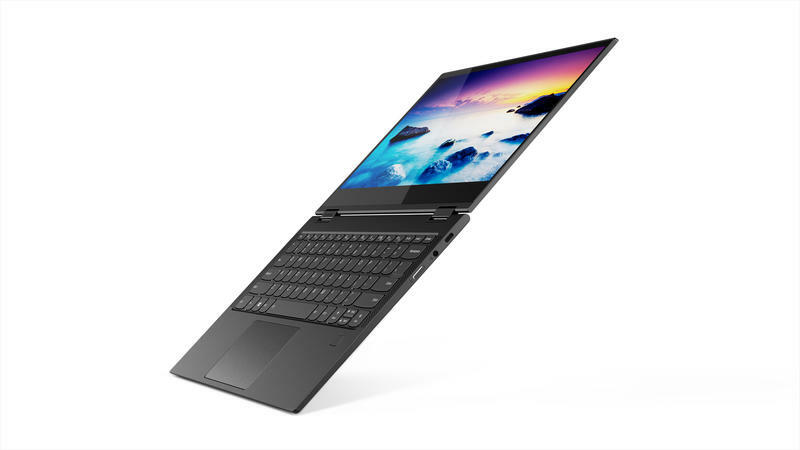 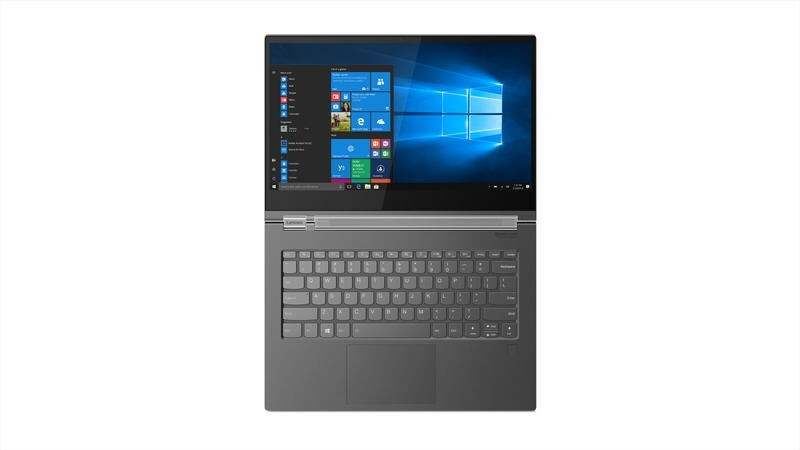 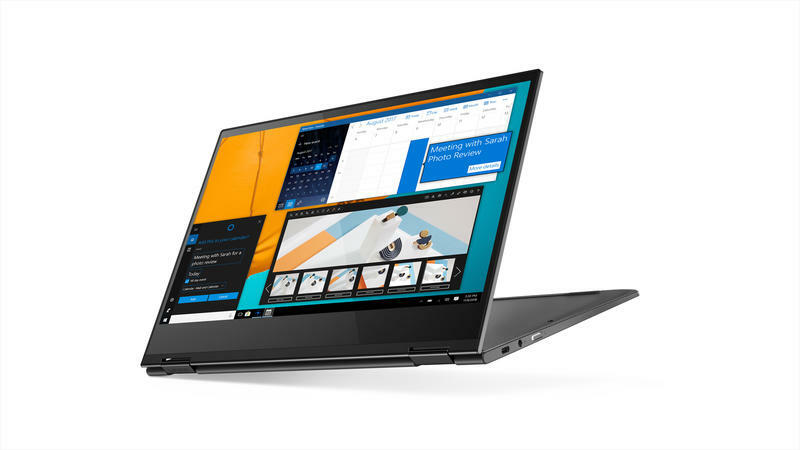 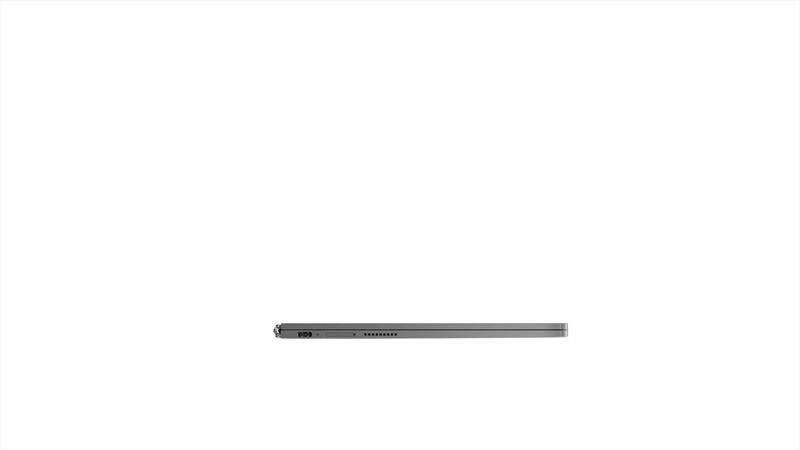 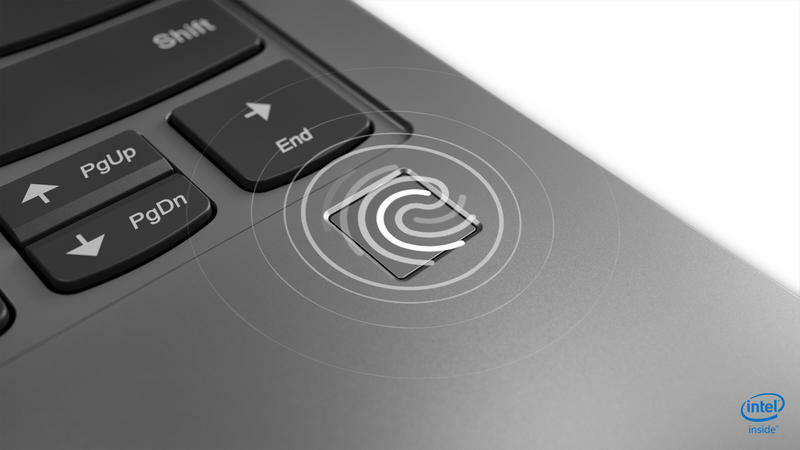 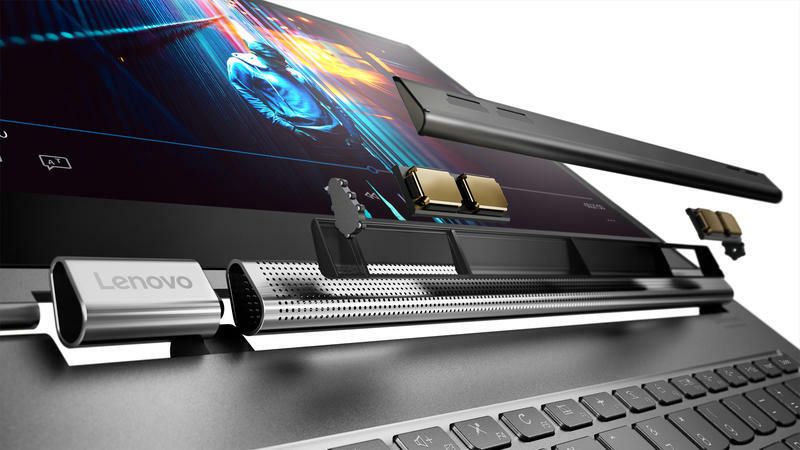 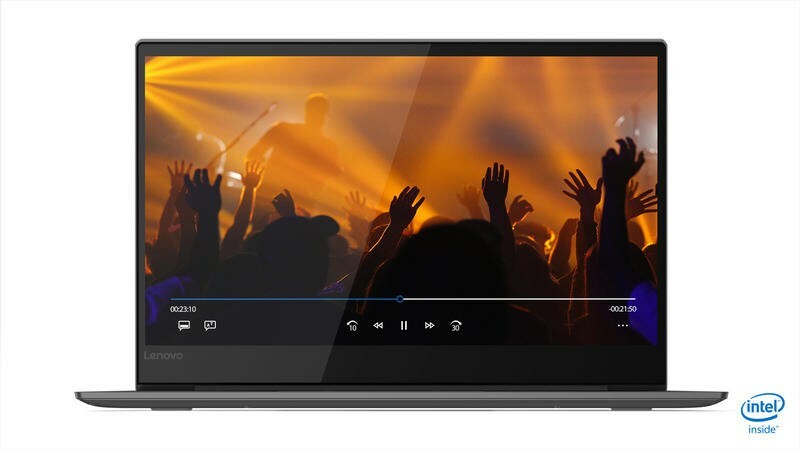 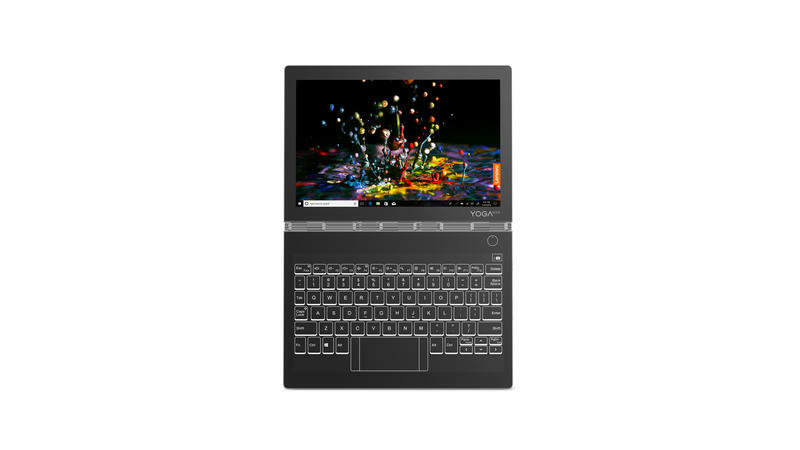 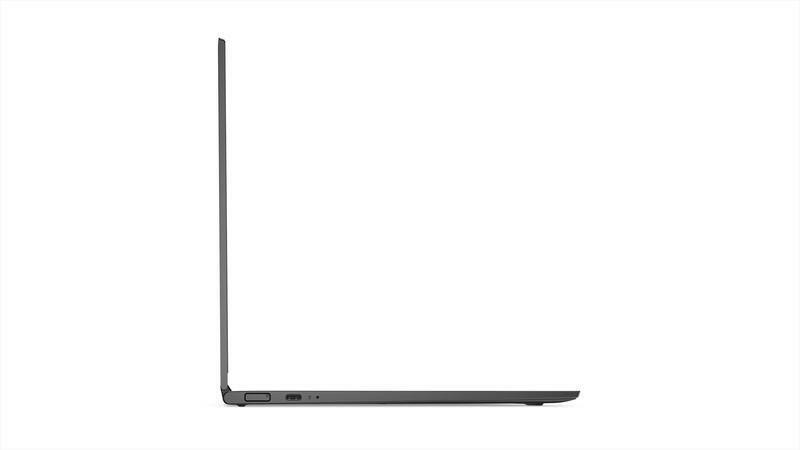 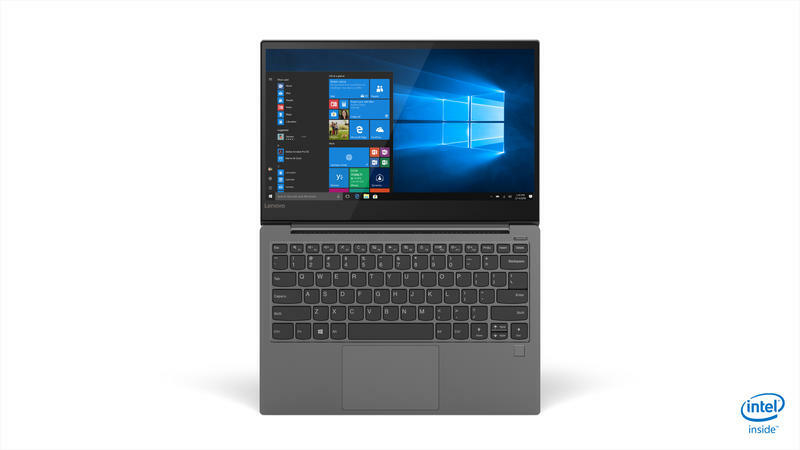 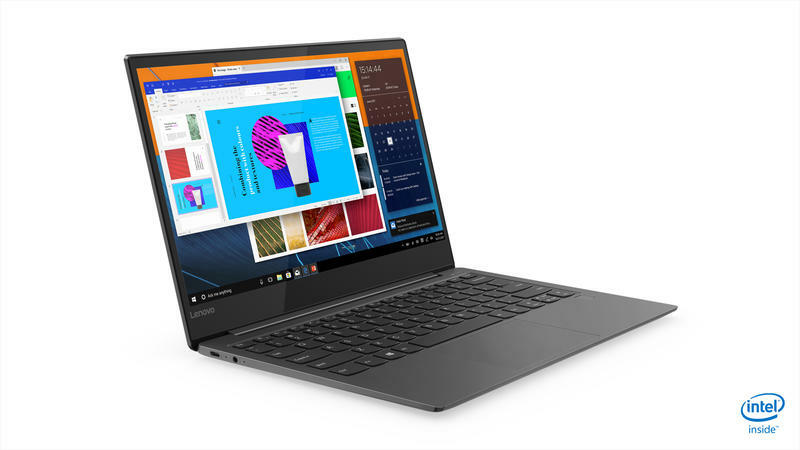 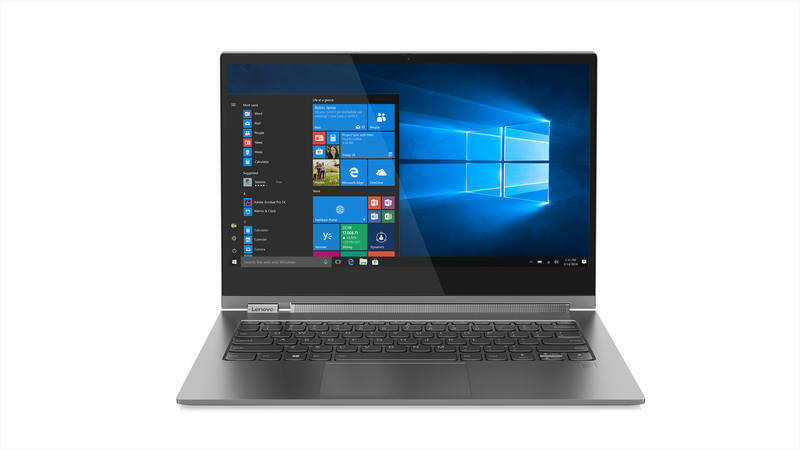 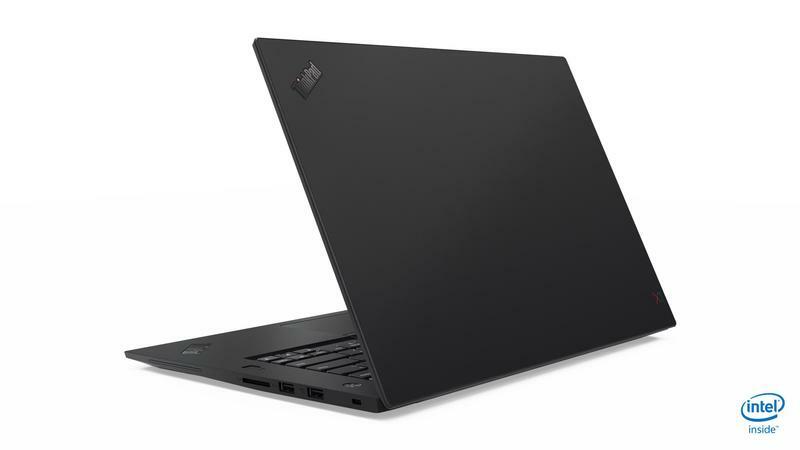 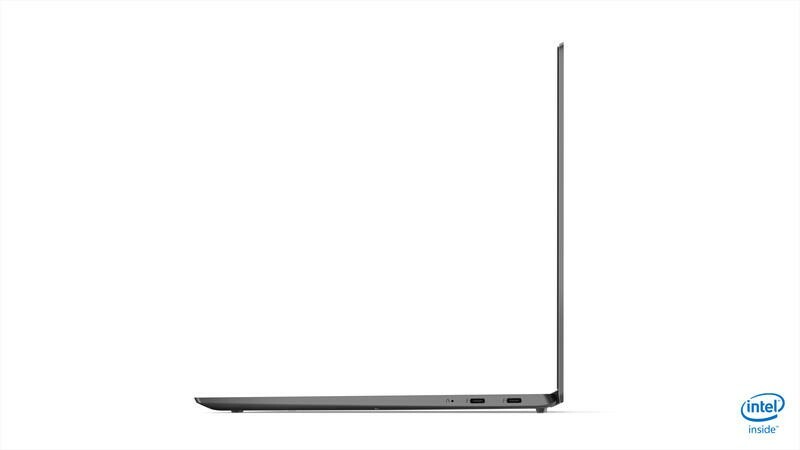 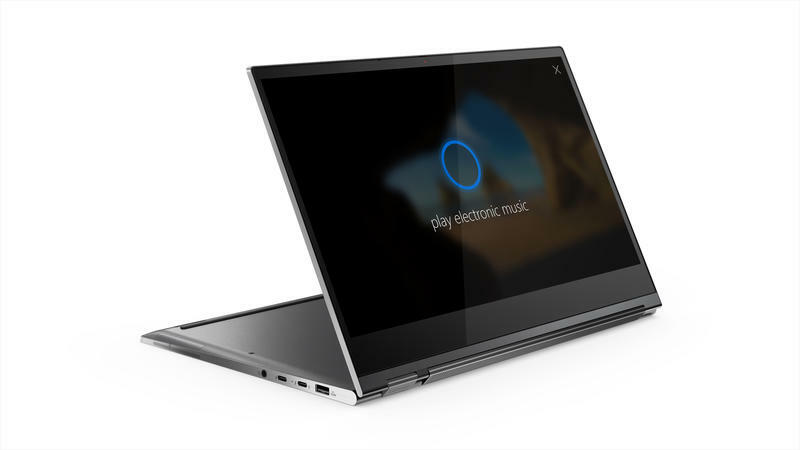 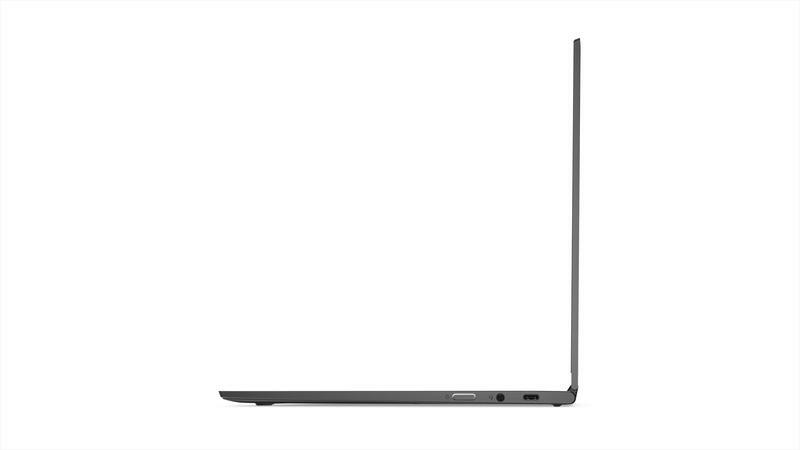 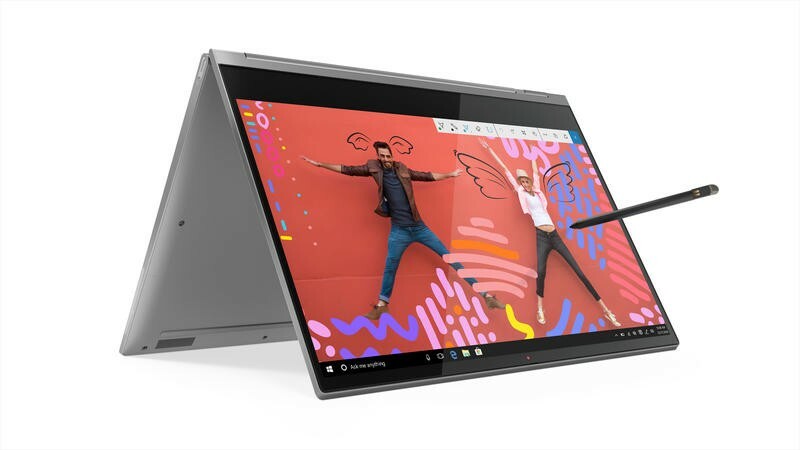 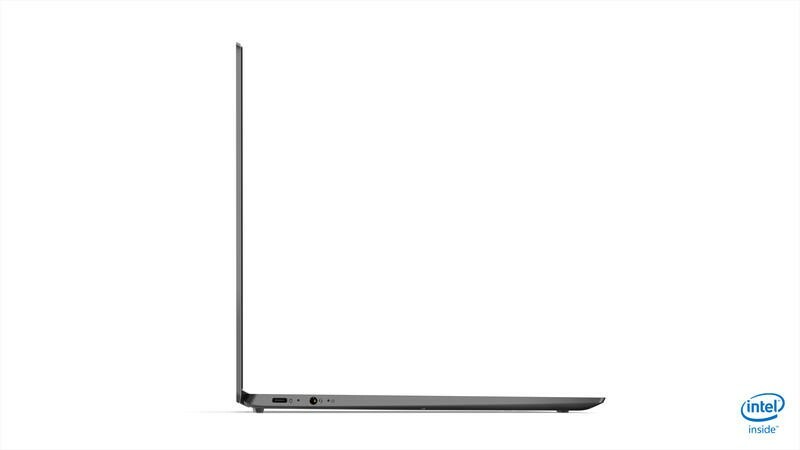 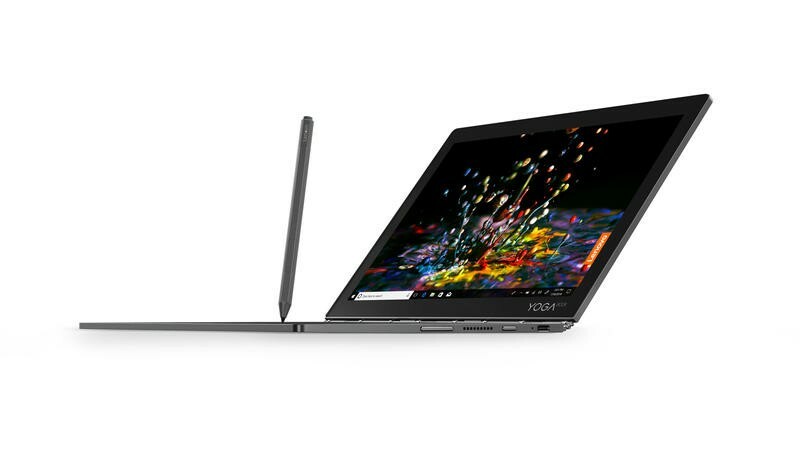 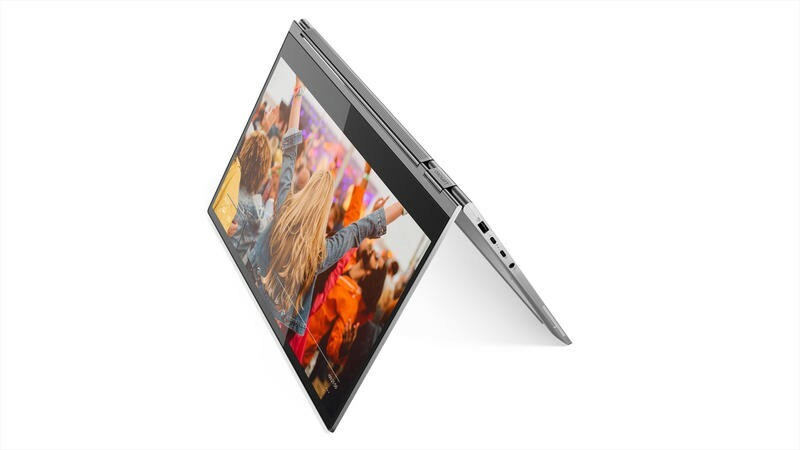 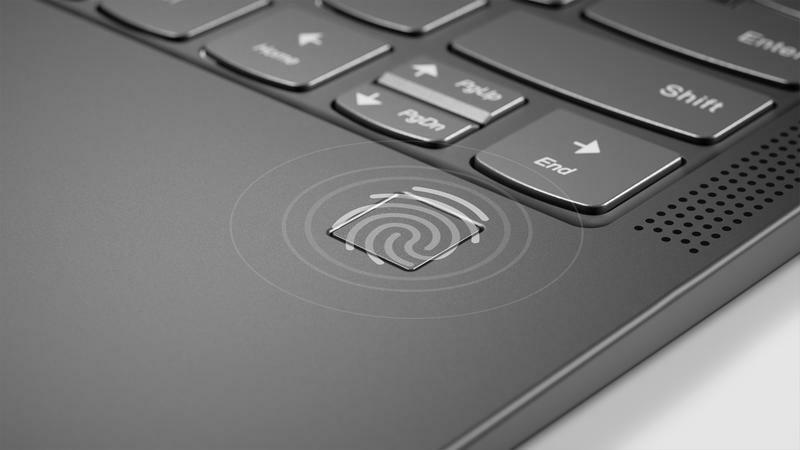 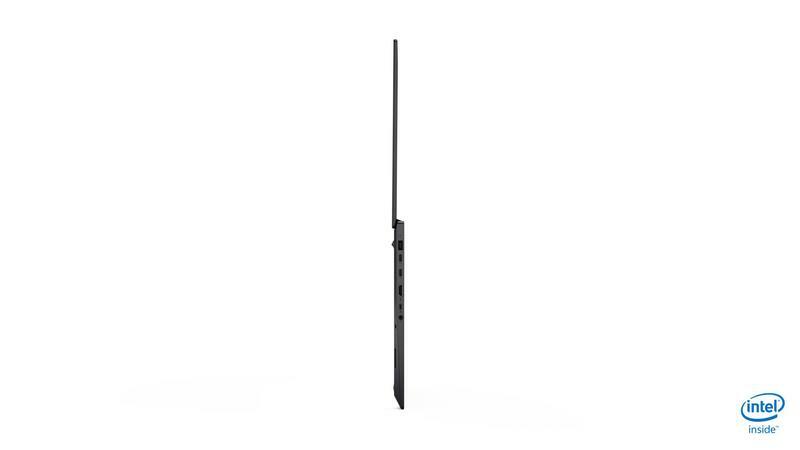 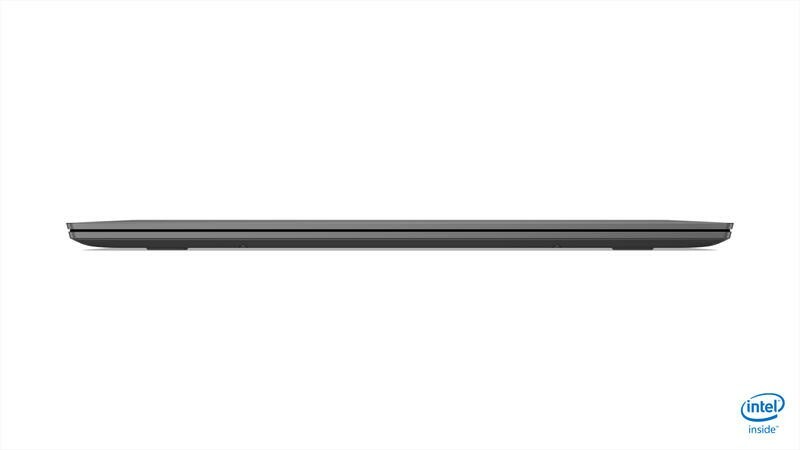 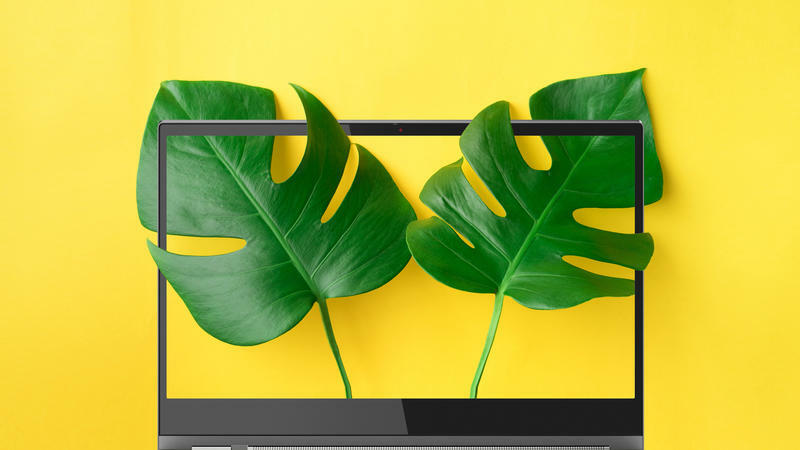 Like many of Lenovo’s other laptops, the C930 features a rotating touchscreen display (13.9 UHD) with Dolby Vision support, a rotating sound bar hinge with Dolby Atmos support, a fingerprint reader, and a privacy cover for the webcam. 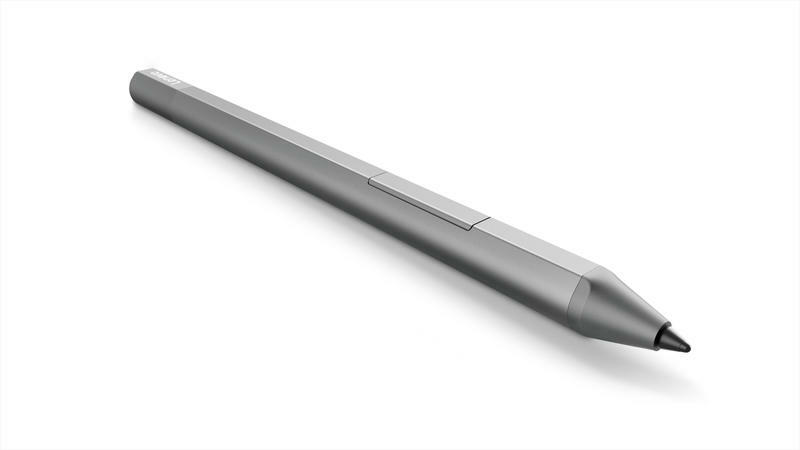 Additionally, there’s a place for a stylus, which features 4096 pressure sensitivity levels. 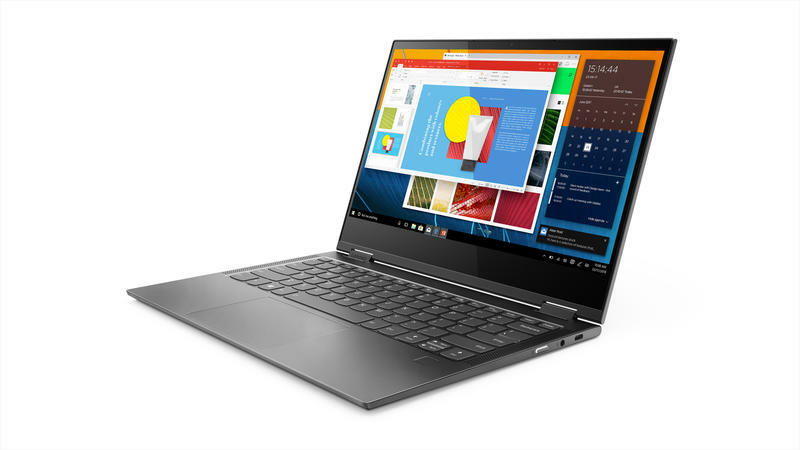 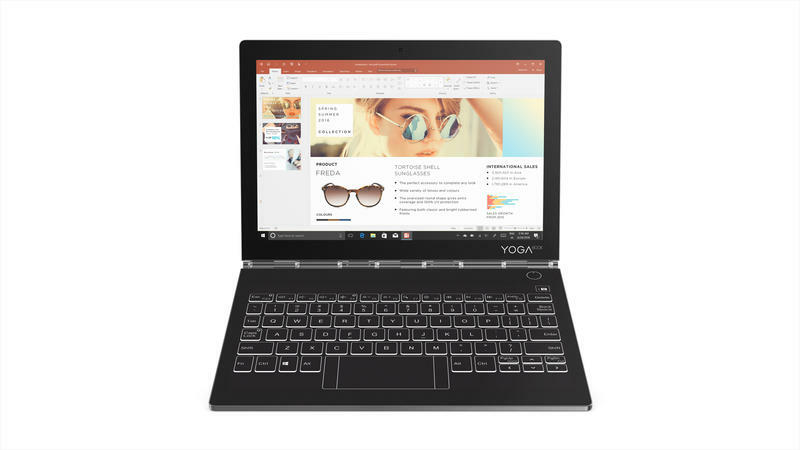 The Lenovo Yoga C930 will be available in October for $1,399. 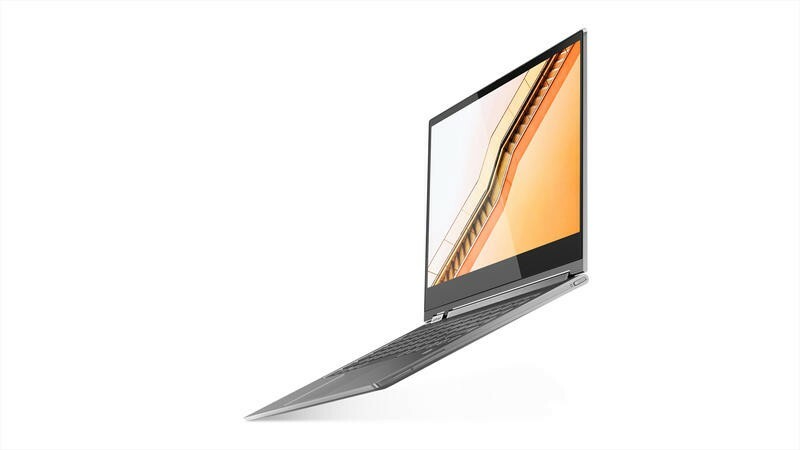 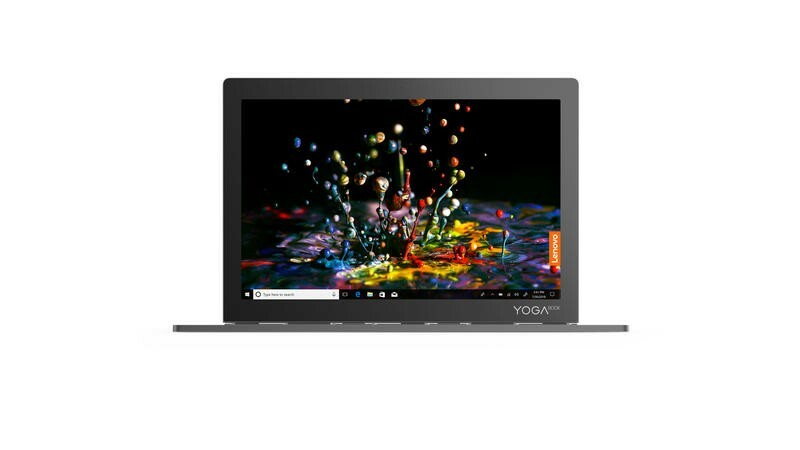 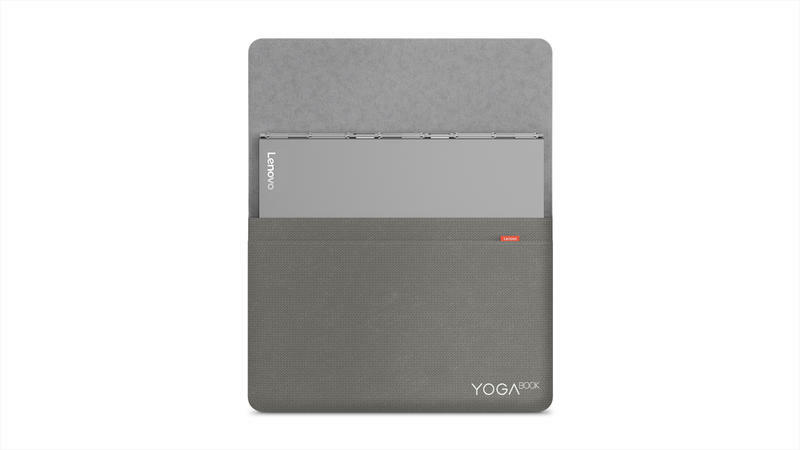 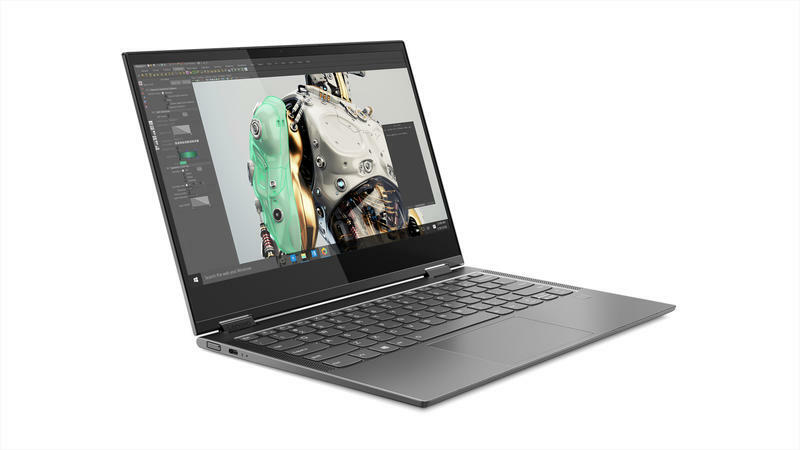 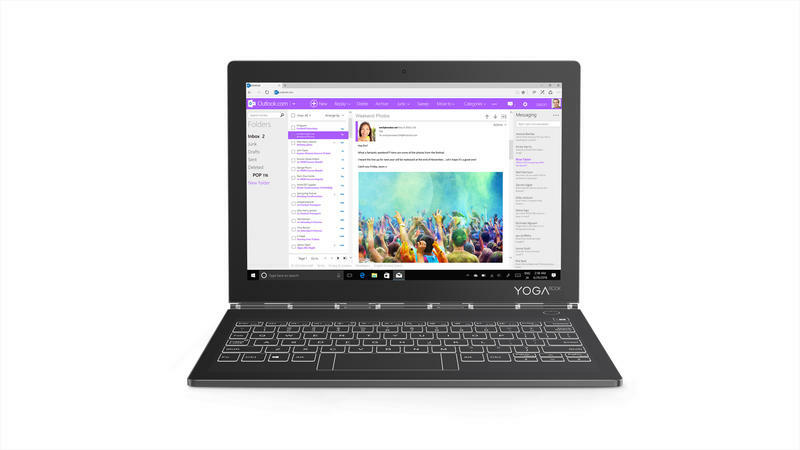 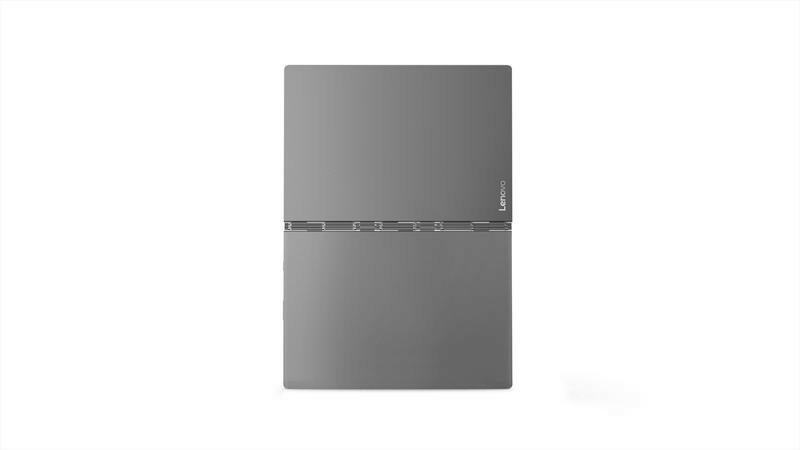 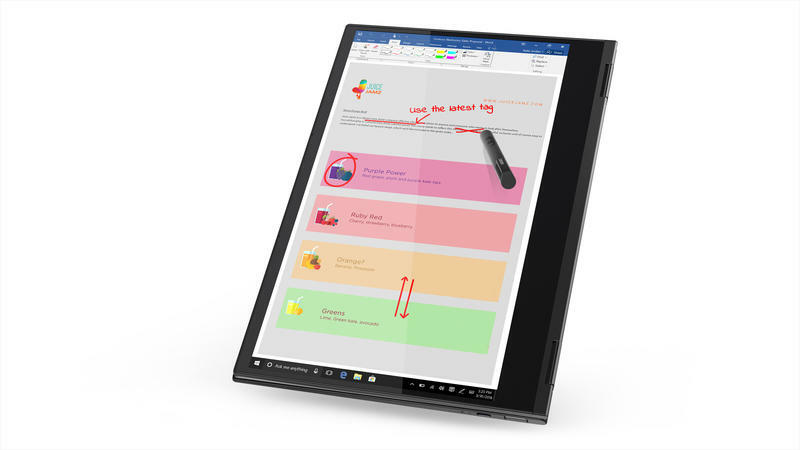 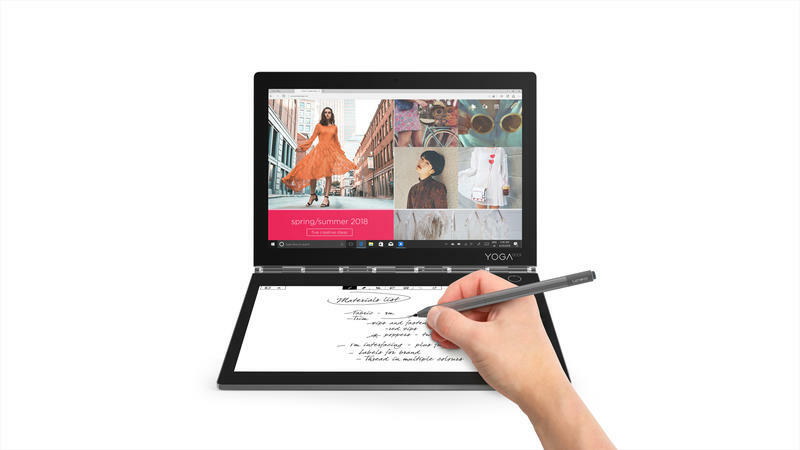 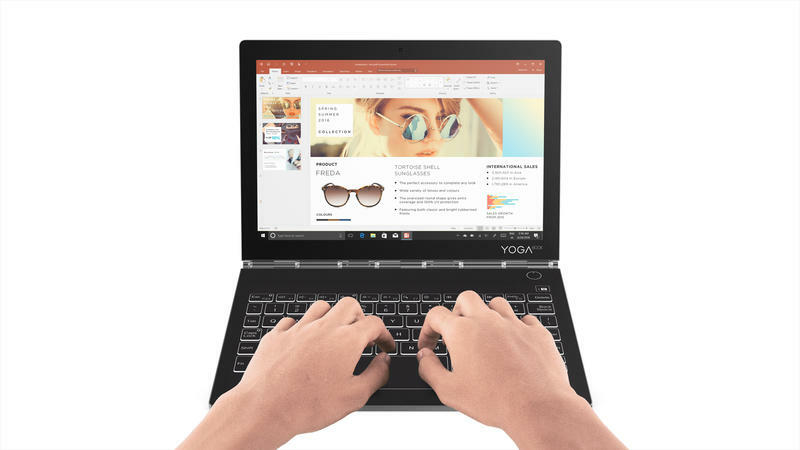 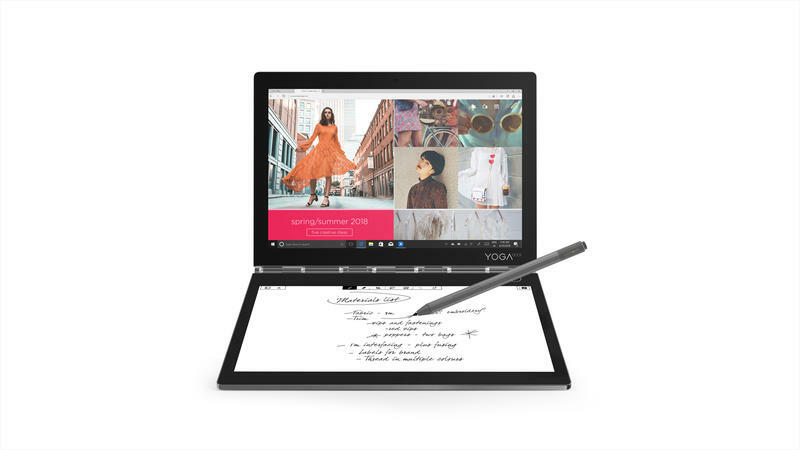 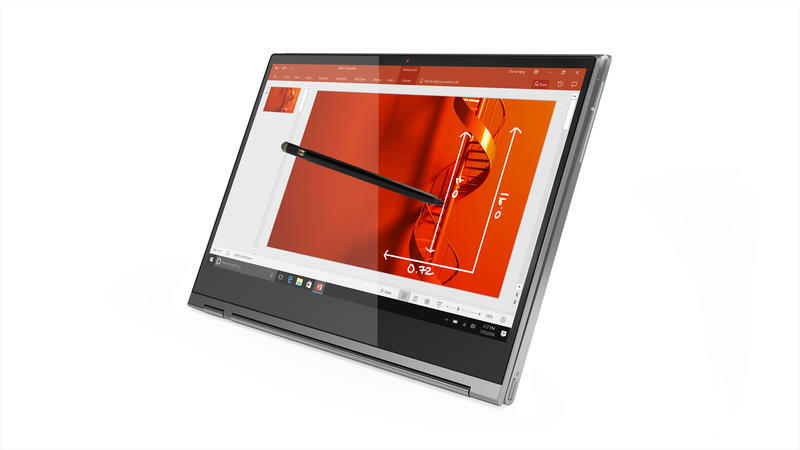 The next step is Lenovo’s Yoga S730, which features a 13.3-inch display, up to 16GB of RAM, up to 1TB of storage, an 8th Generation Core i7 processor, and 2 USB-C ports. 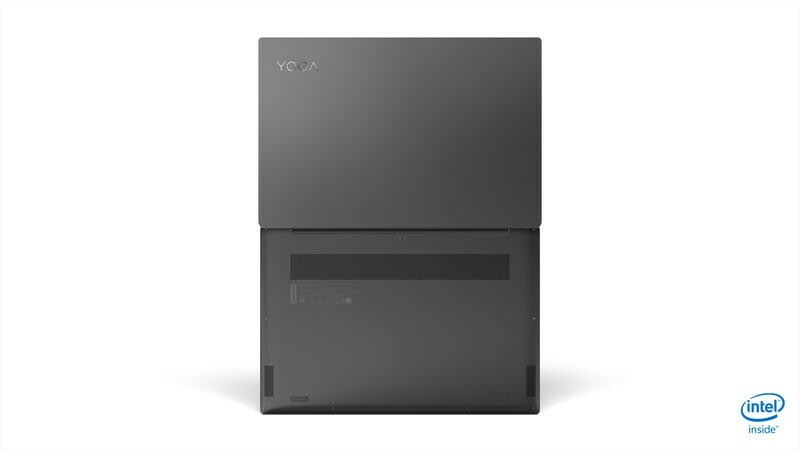 Lenovo claims the Yoga S730 will provide users with up to 10 hours of battery, while powering its brighter display and innovative cooling system. 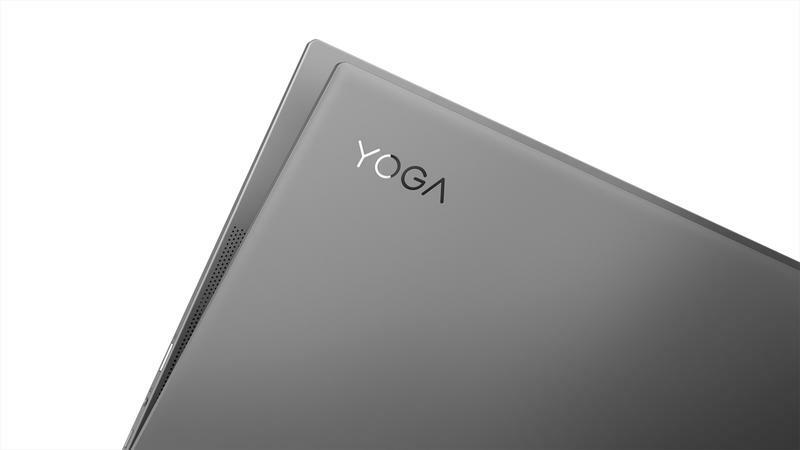 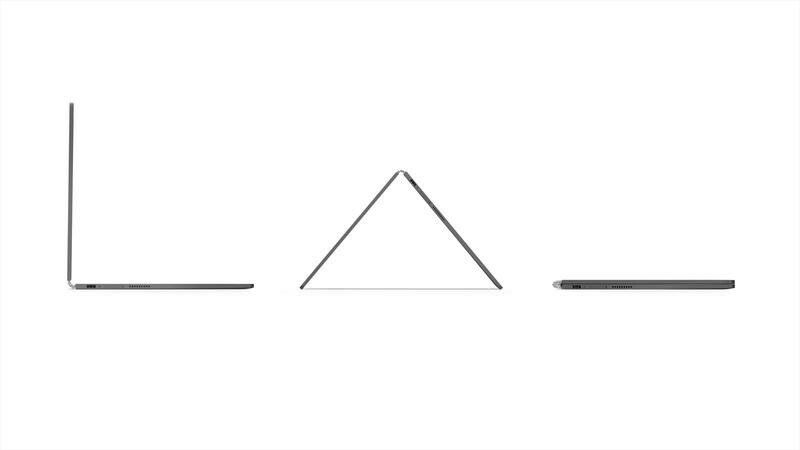 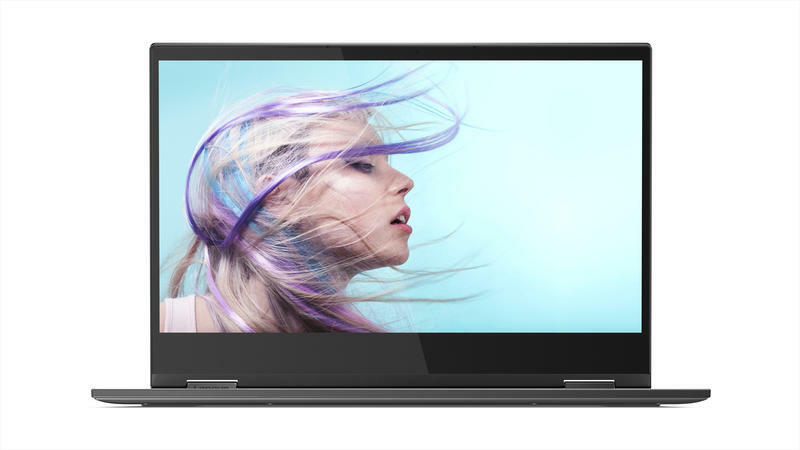 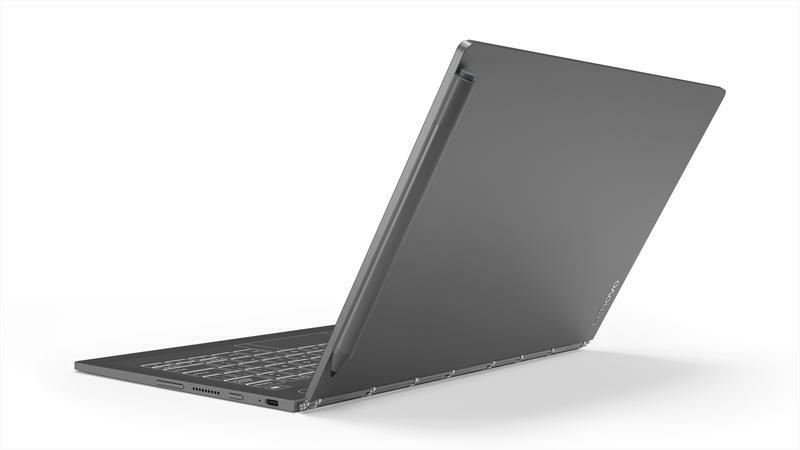 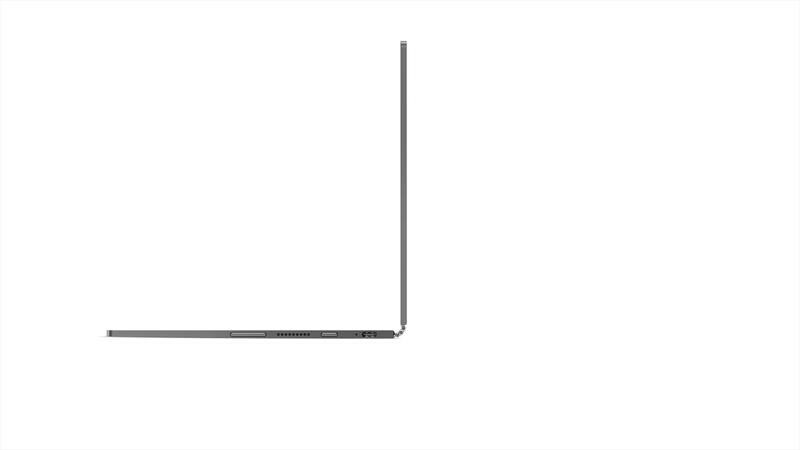 The Lenovo Yoga S730 will retail for $999 when it’s available in November. 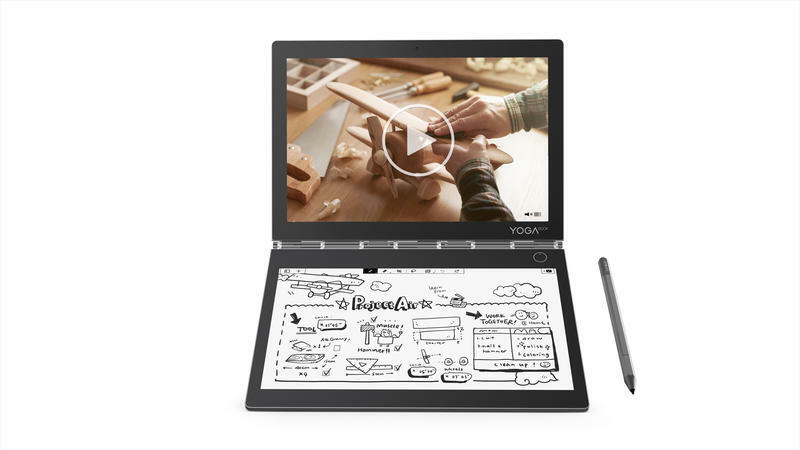 If you aren’t satisfied with one display on your laptop, the Yoga Book C930 is up your alley. 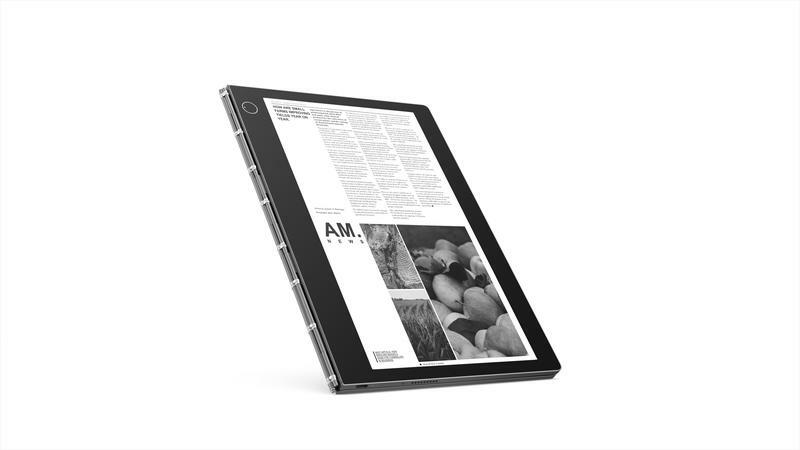 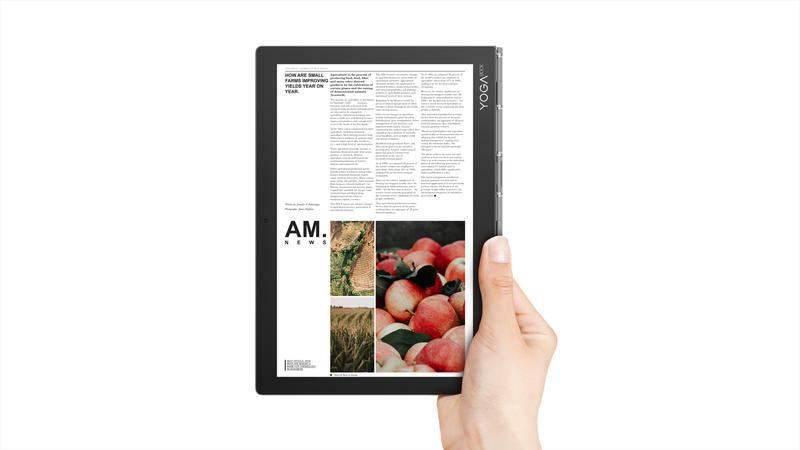 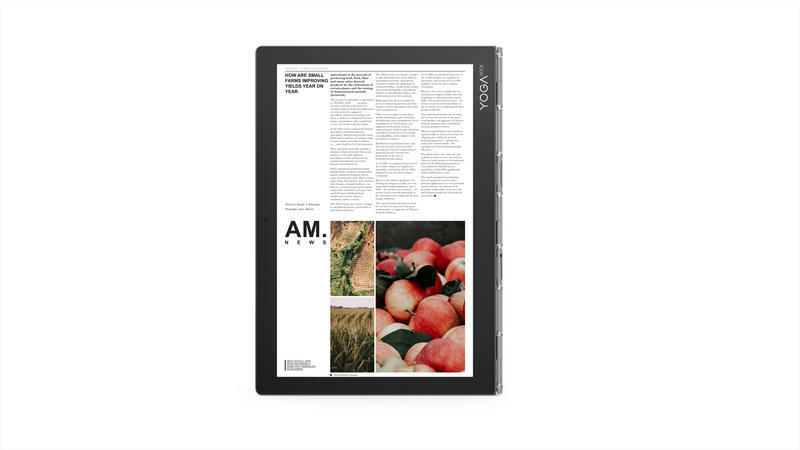 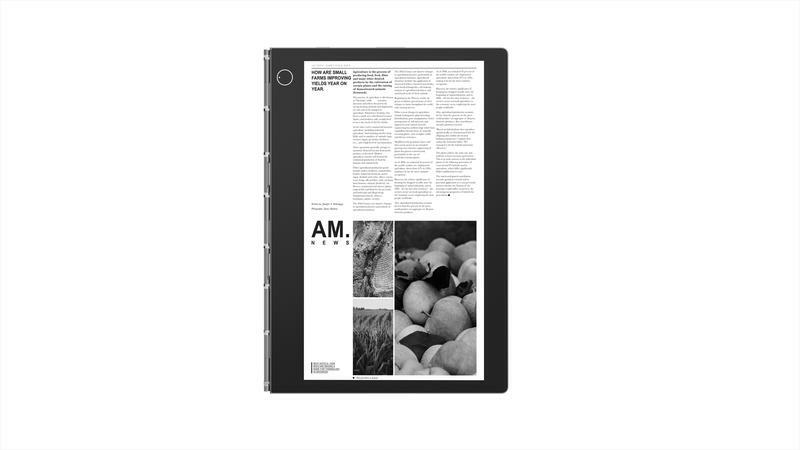 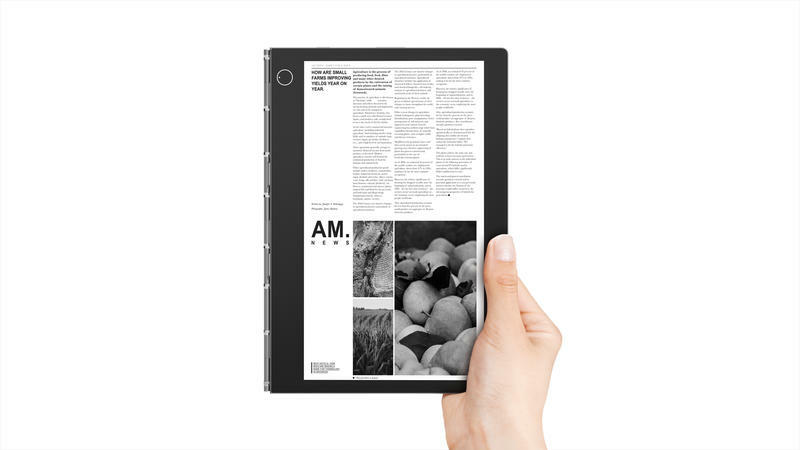 In addition to a 10.8-inch QHD display, the device also features a 10.8-inch FHD e-ink screen, which acts as a keyboard, notepad, and e-reader. 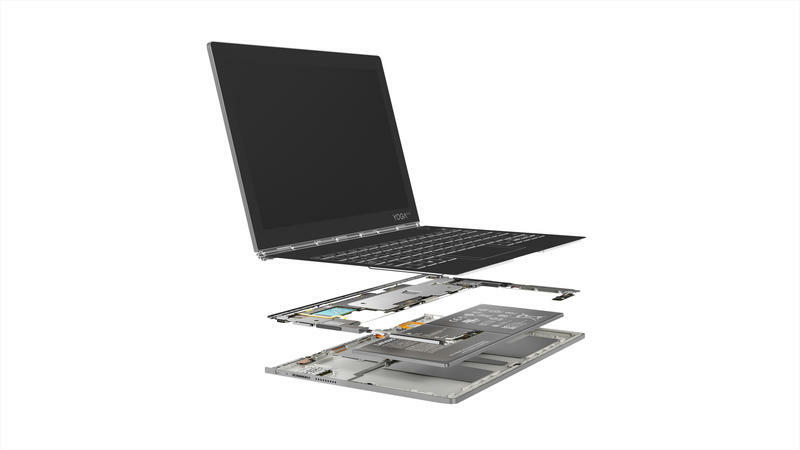 Other specs include up to 4GB of RAM, a 7th Gen Core i5 processor, and a batter that could last more than 8 hours. 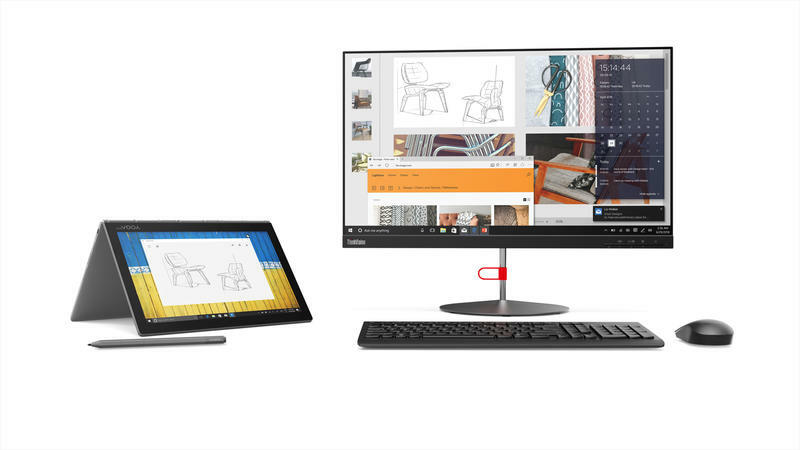 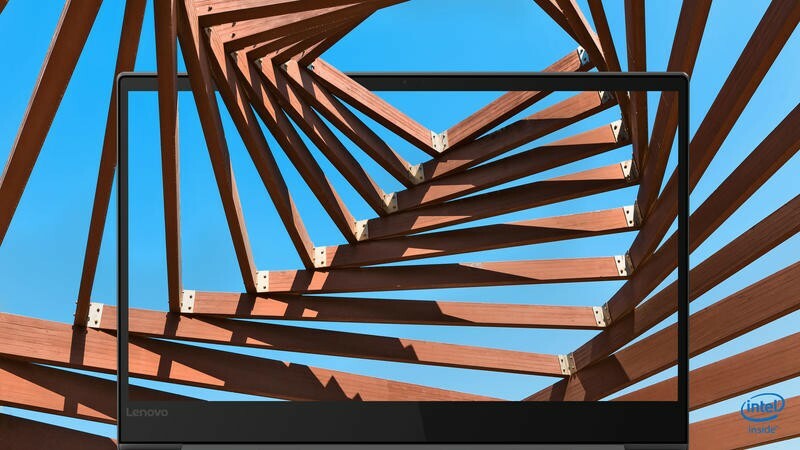 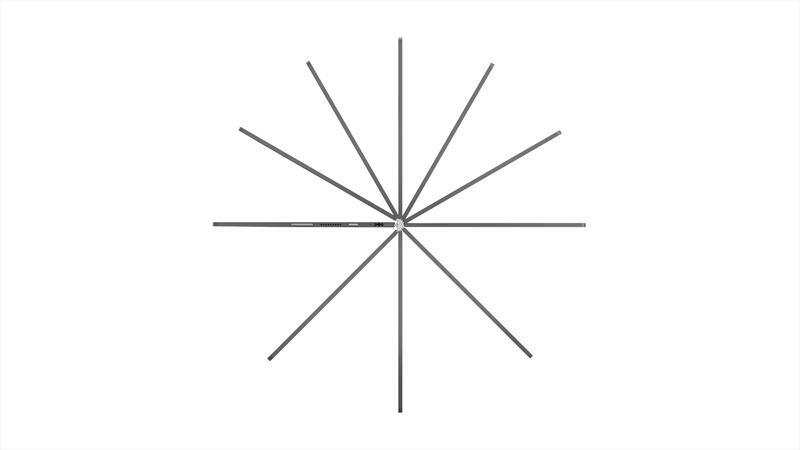 It’s versatile, but whether it’s functional remains to be seen. 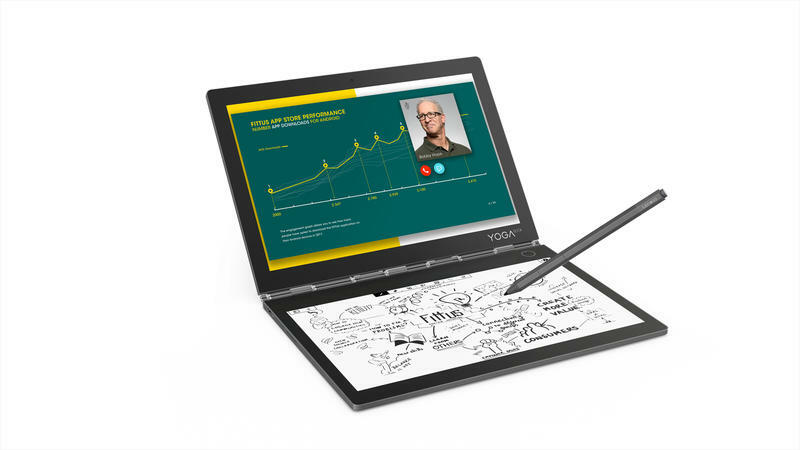 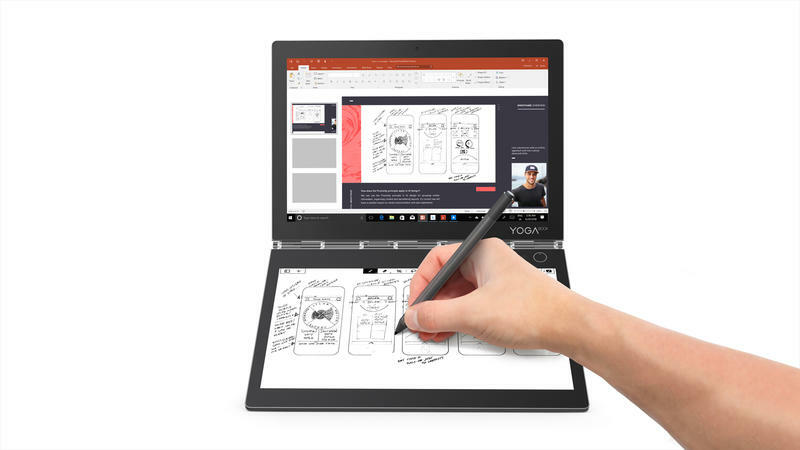 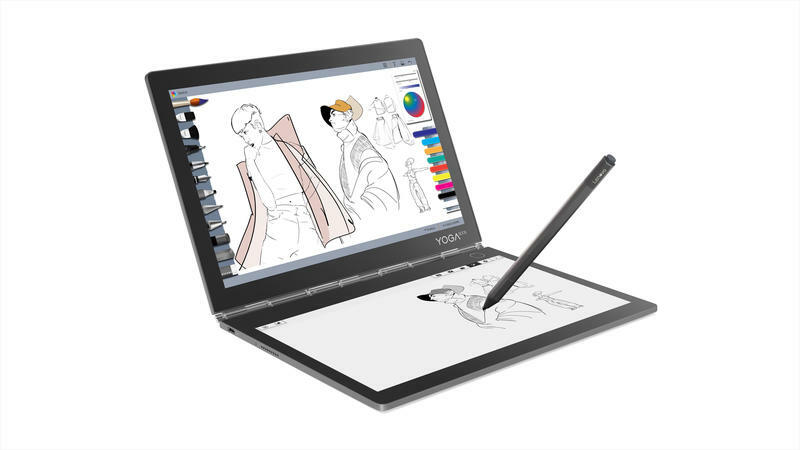 Other features include a knock-to-open feature, fingerprint sensor, Dolby Atmos support, and Wacom pen support with 4096 levels of pressure sensitivity. 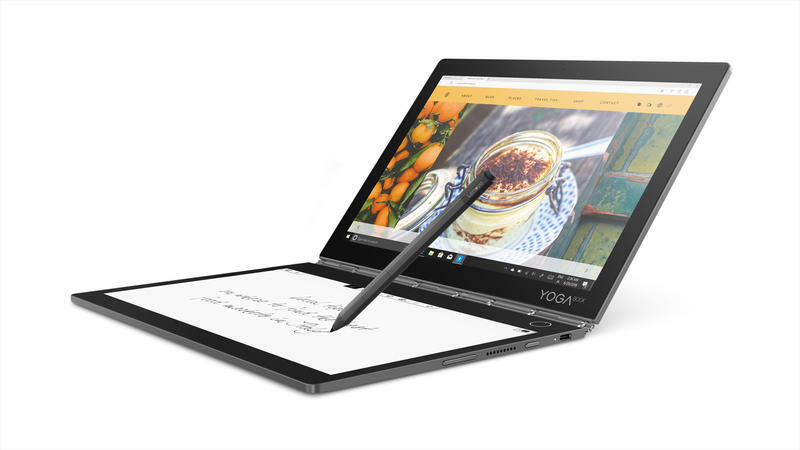 The Lenovo Yoga Book C930 will be available in October for $999. 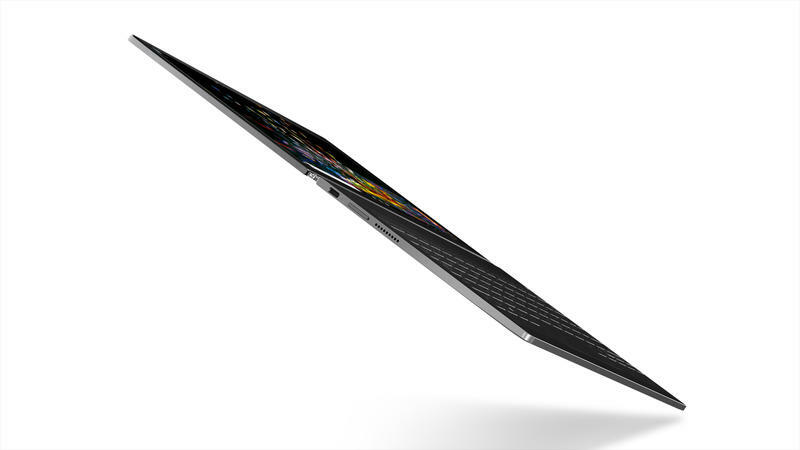 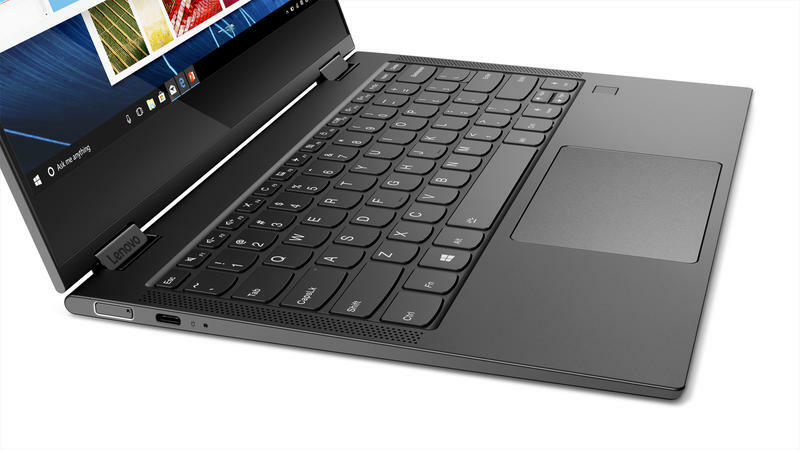 This one is part of Qualcomm’s push to enter the crowded laptop space. 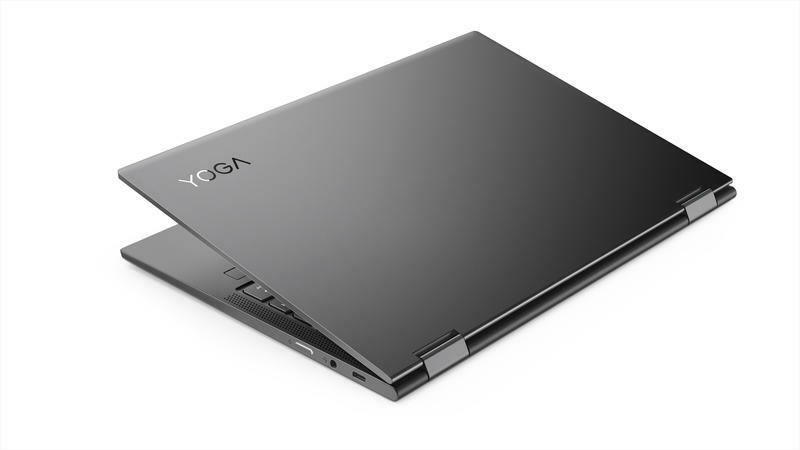 The Yoga C630 features a Snapdragon 850 processor, which helps power Windows 10S. 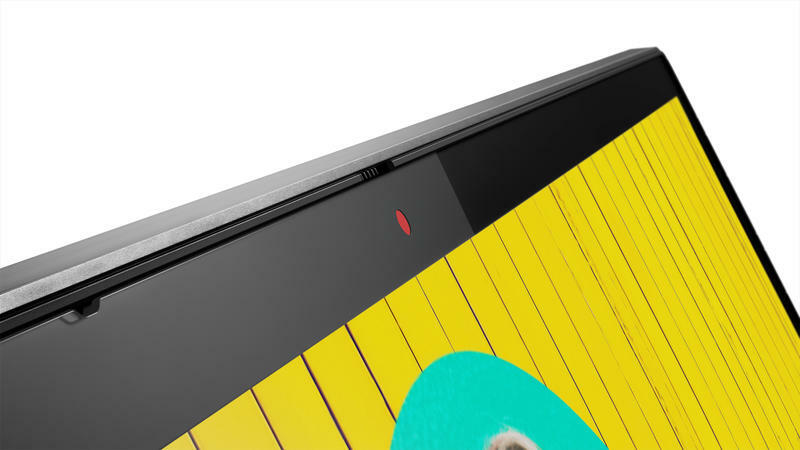 As a result, users can get over 25 hours of battery on a single charge. 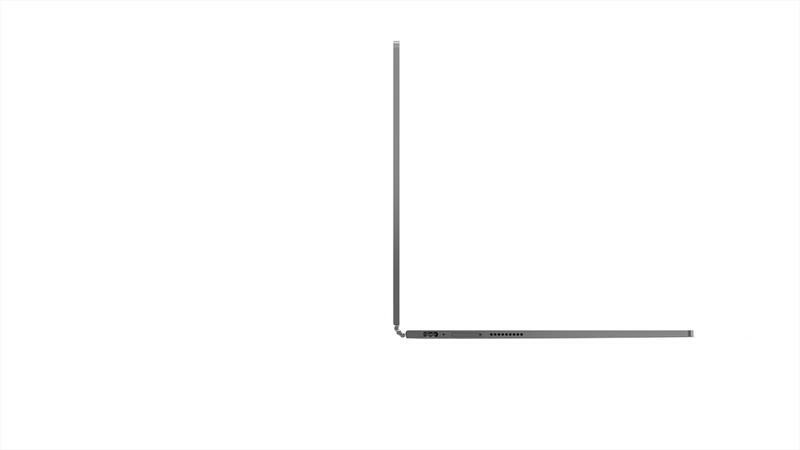 That’s plenty to last through a busy day at school. 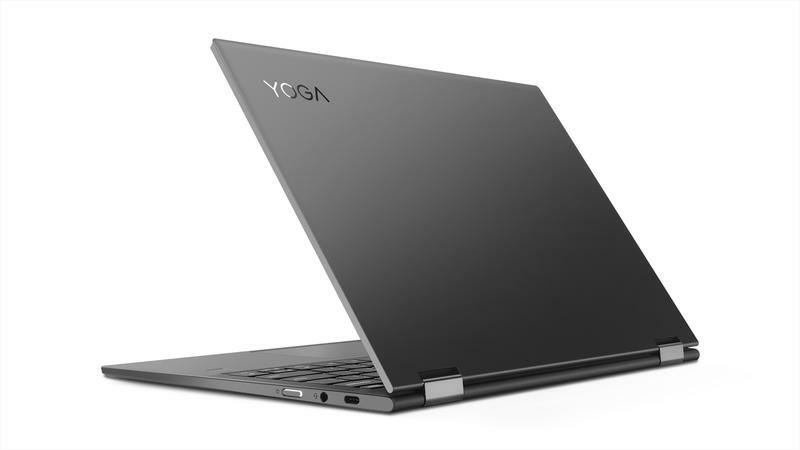 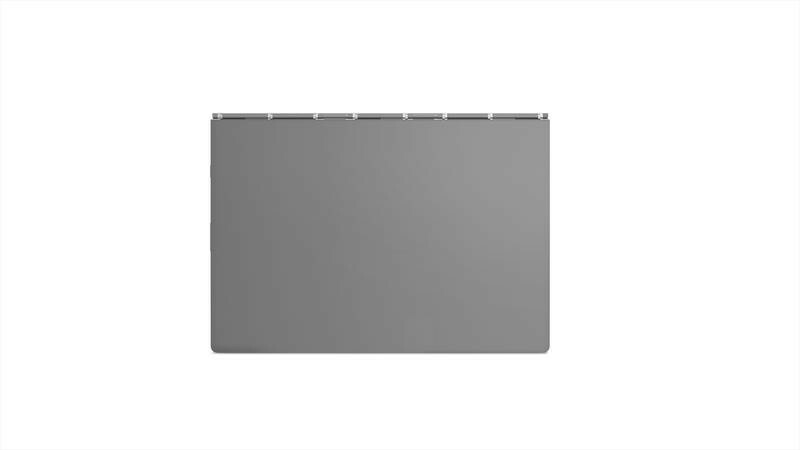 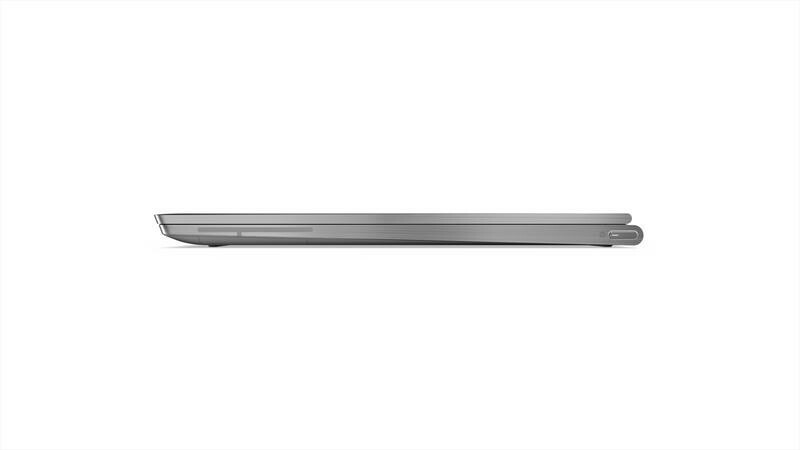 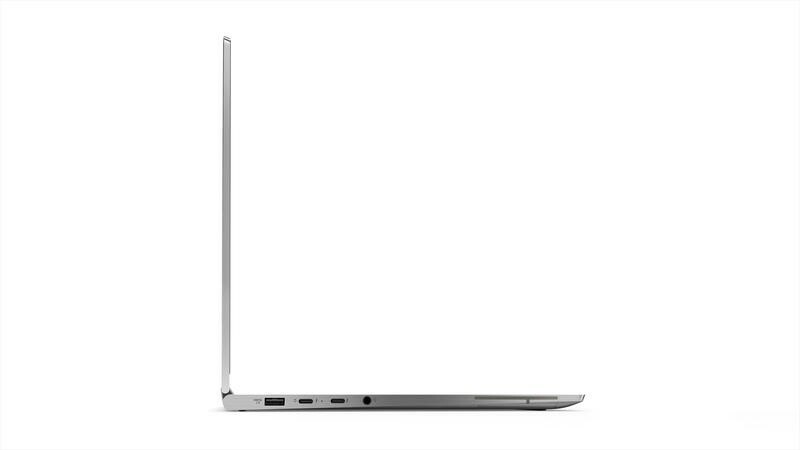 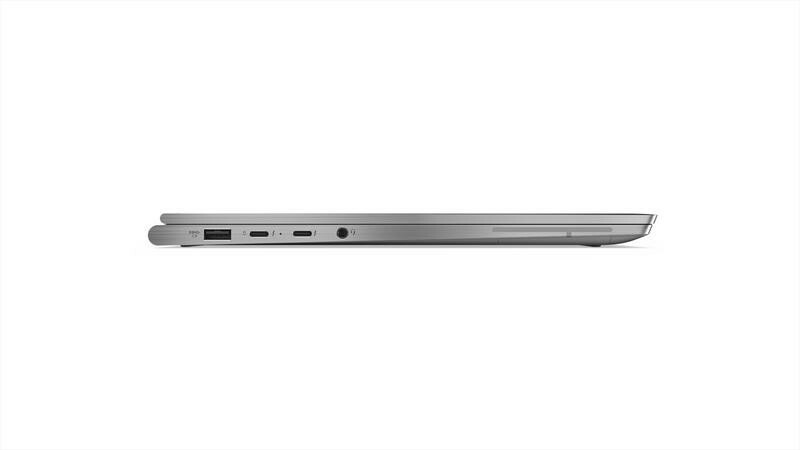 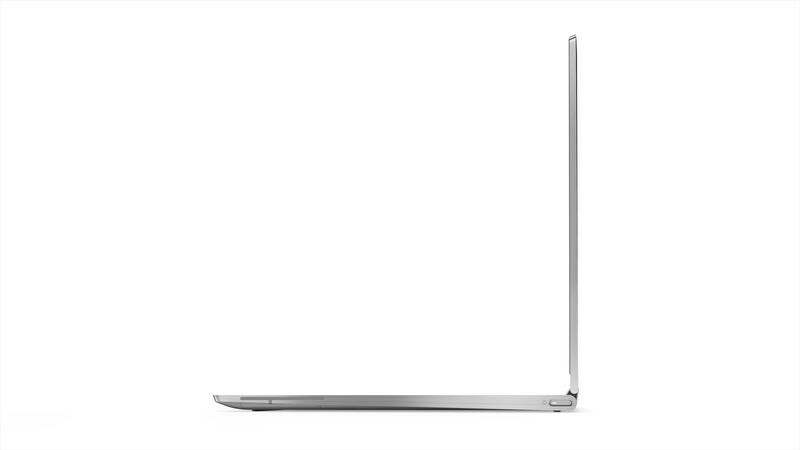 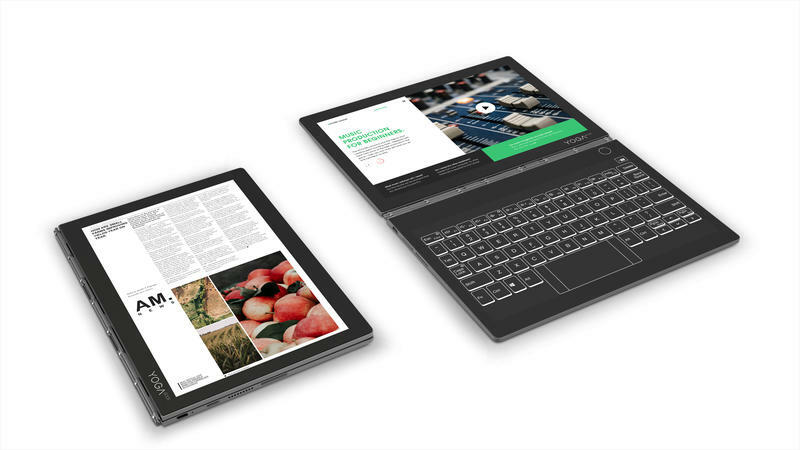 Thanks to the Snapdragon 850 processor, the Yoga C630 features a fanless design, making the laptop light (1.2kg) and thin (12.5mm). 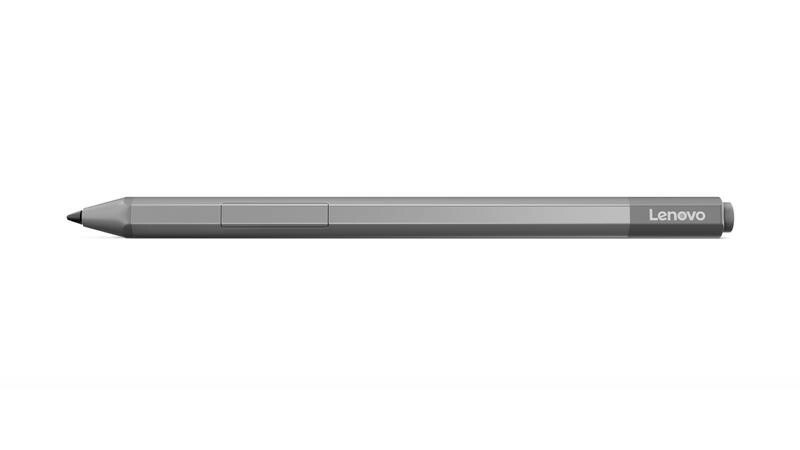 The device will also update notifications when the device is in sleep mode. 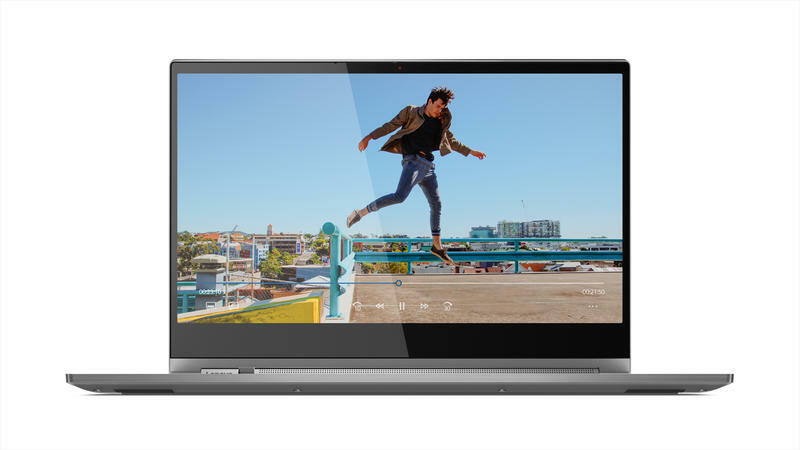 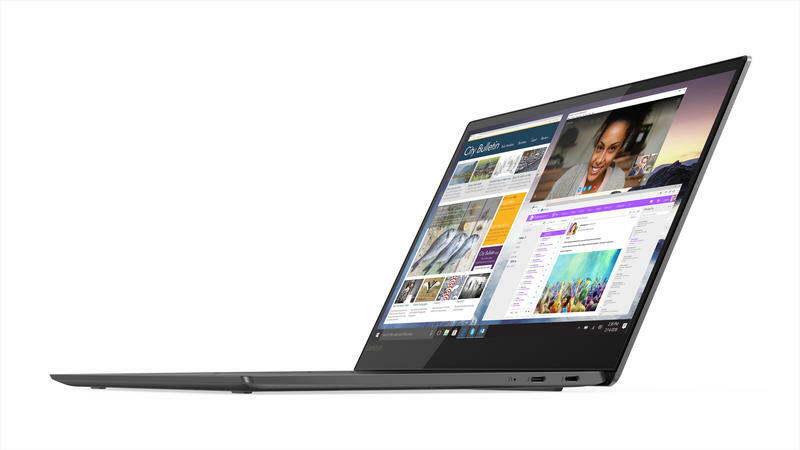 The Lenovo Yoga C630 will be available in November for $849. Lastly, Lenovo announced the ThinkPad X1 Extreme for power and business users. 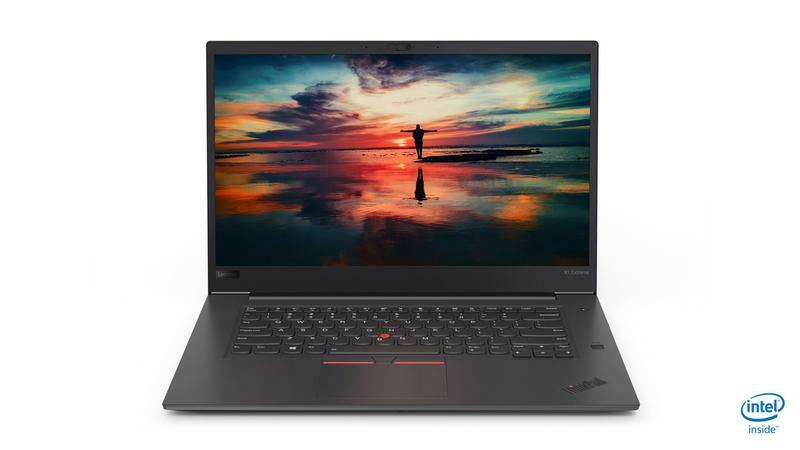 With discrete graphics (GeForce 1050 Ti), a 15.6-inch 4K display, and Dolby Audio Premium, the laptop blends power and style—all for $1,859. 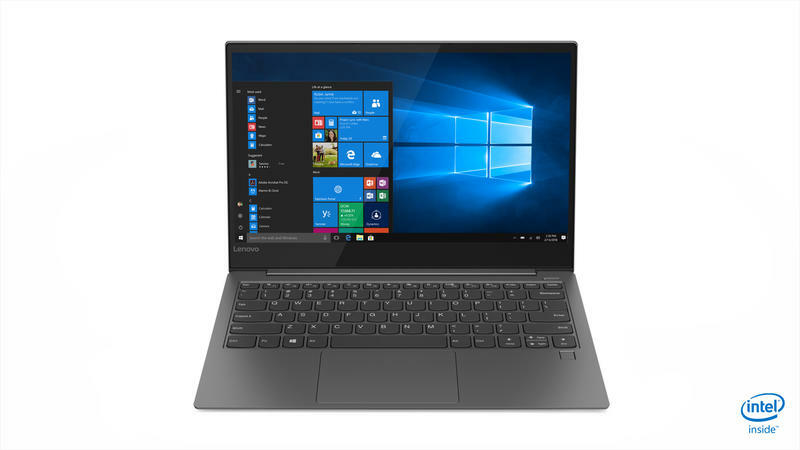 Other specs and features include Windows 10 Pro, an 8th Generation Core i7 processor, up to 64GB of RAM, and up to 4TB of SSD storage. 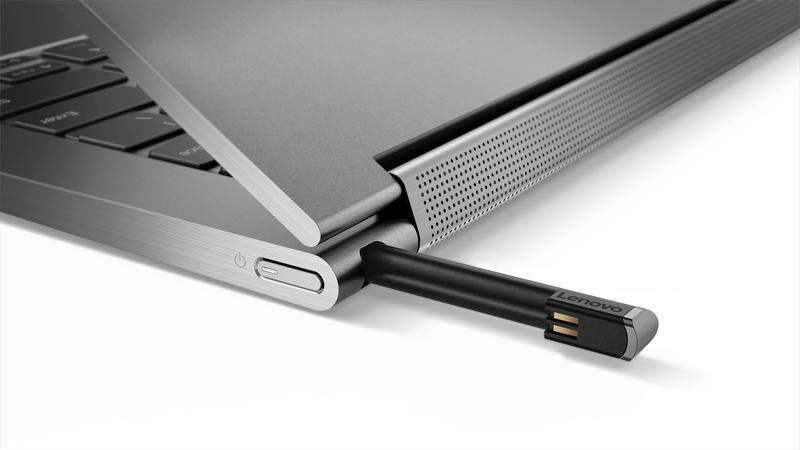 Users also get 1 HDMI port, two USB3.1 ports, and a battery that’s rated for up to 13 hours. 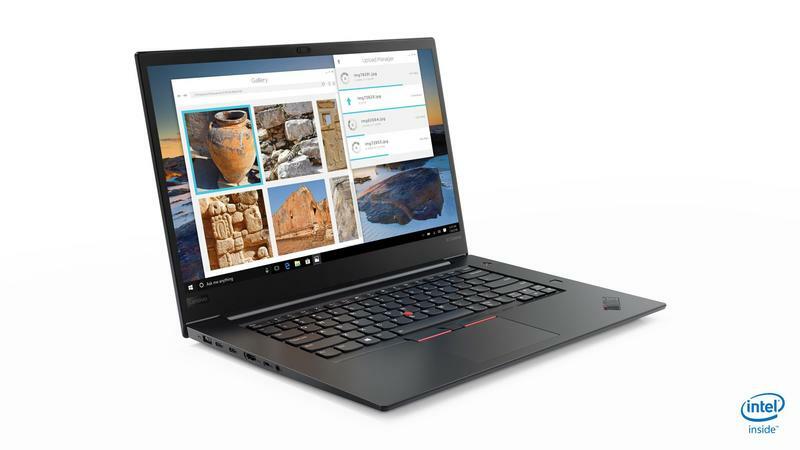 The Lenovo ThinkPad X1 Extreme will be available in September.